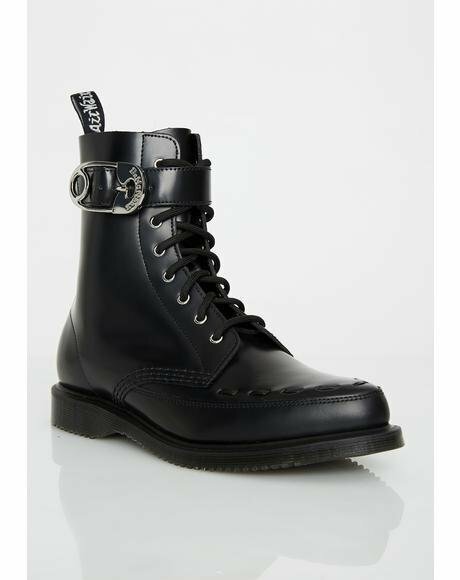 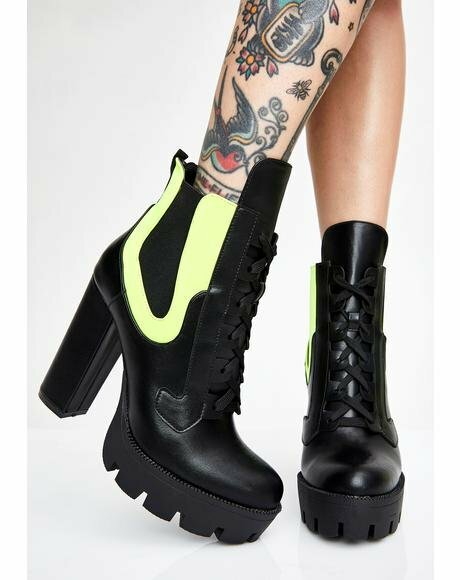 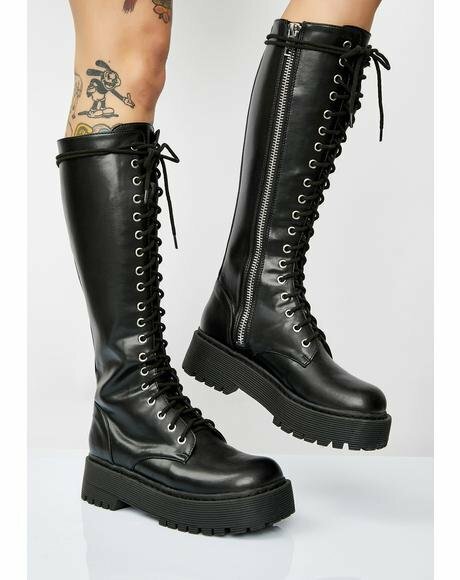 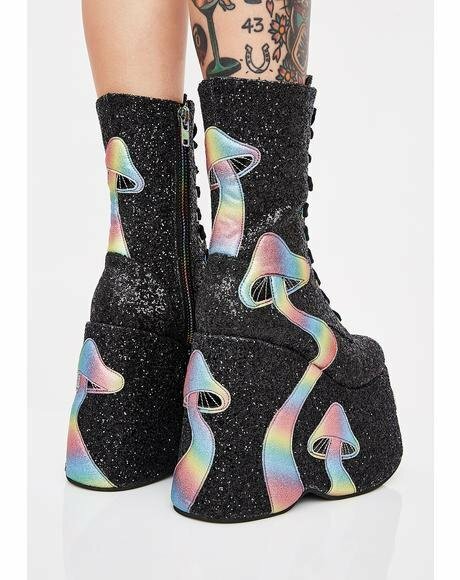 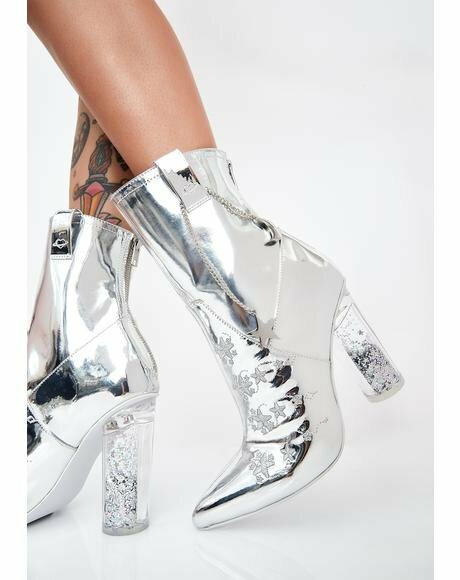 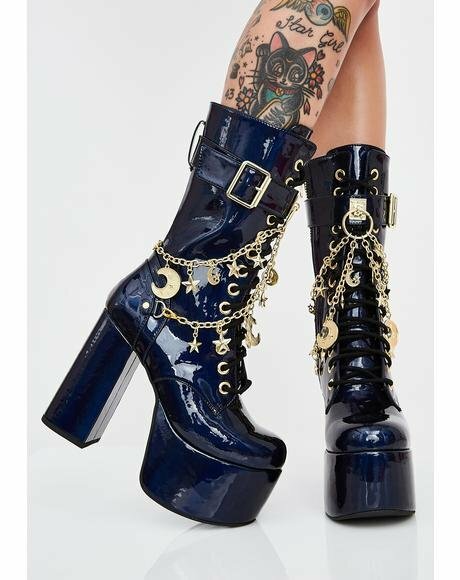 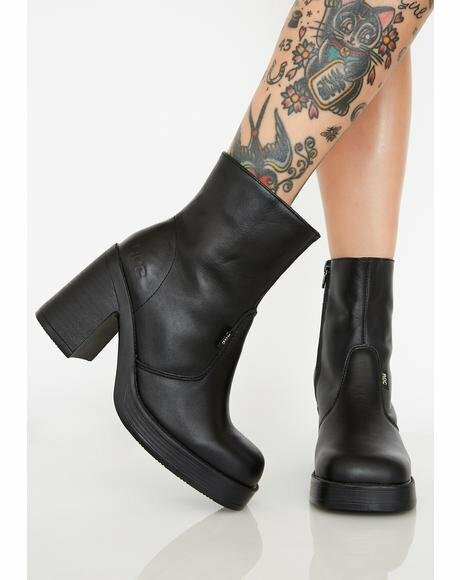 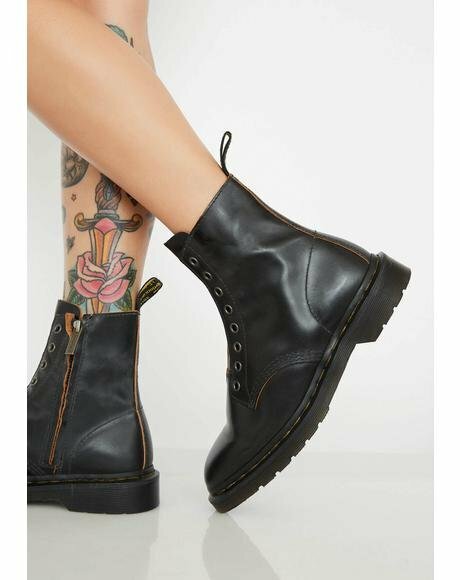 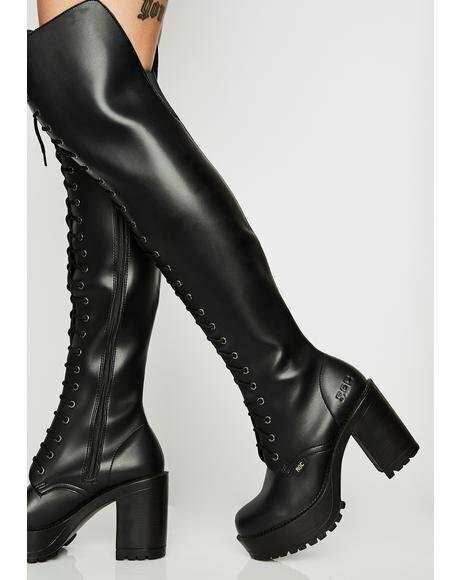 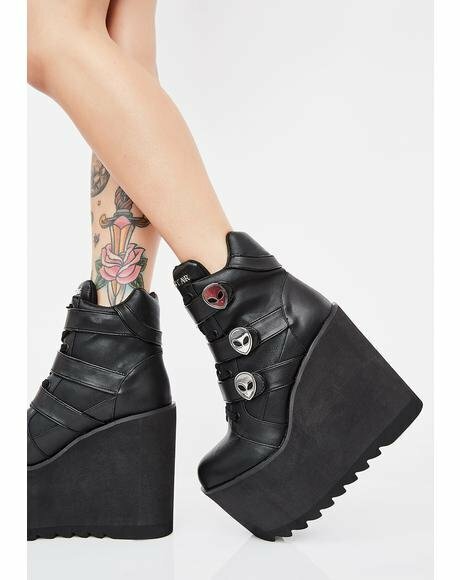 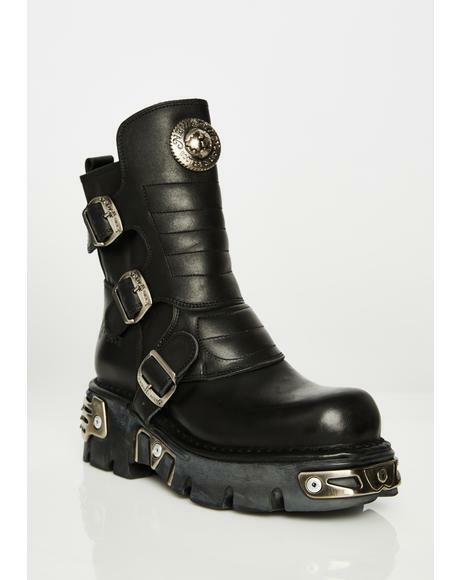 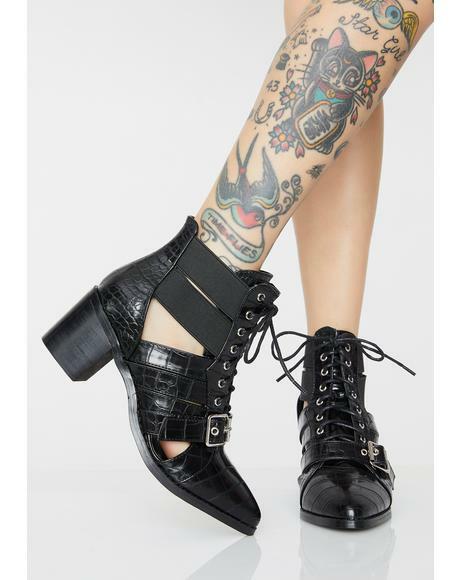 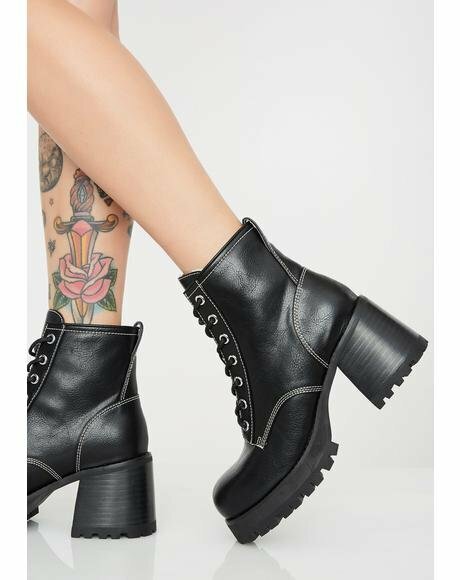 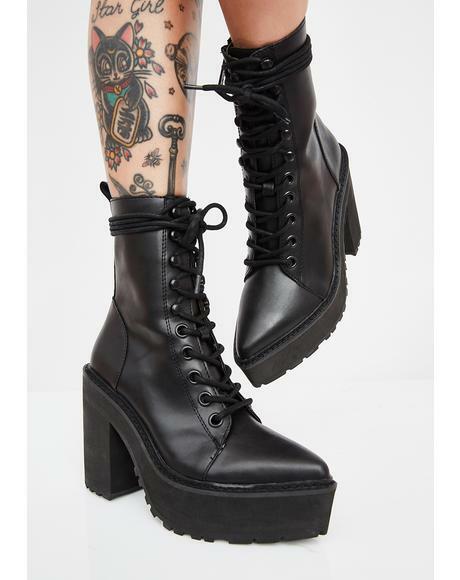 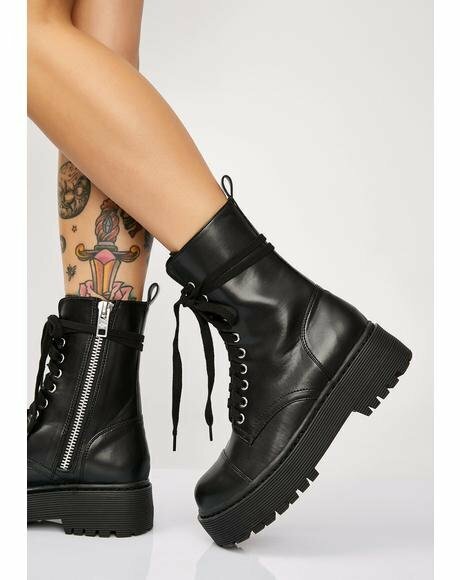 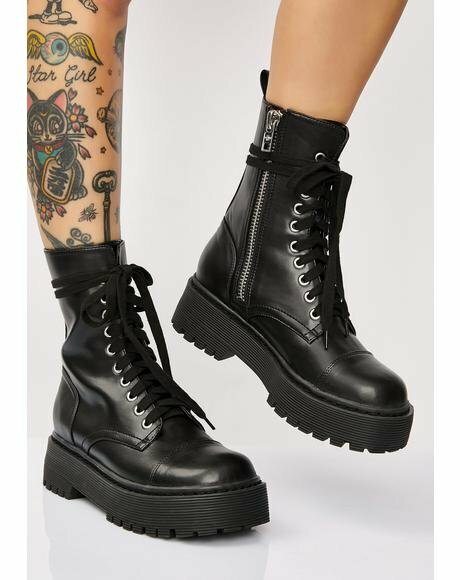 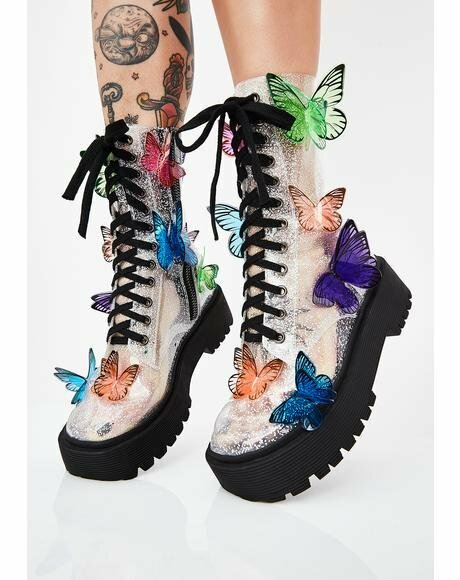 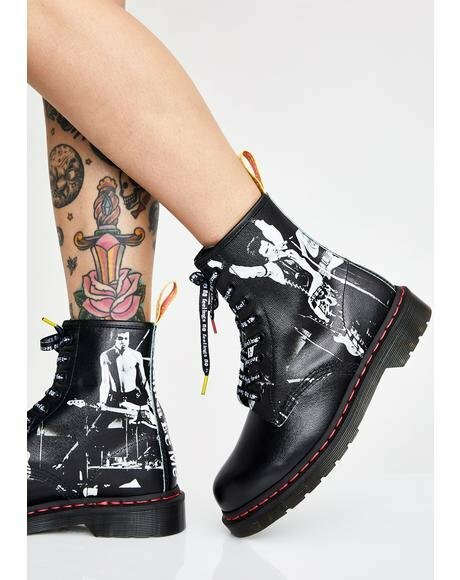 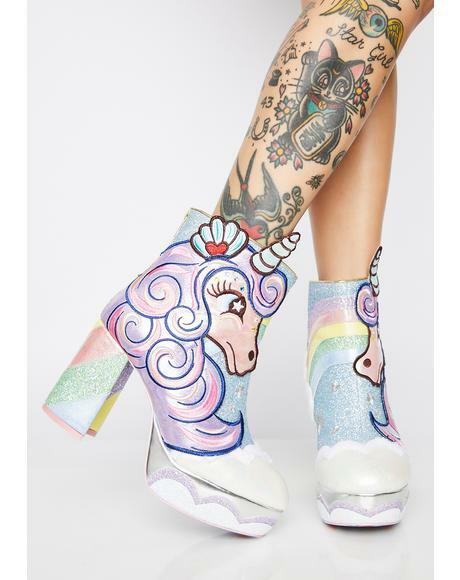 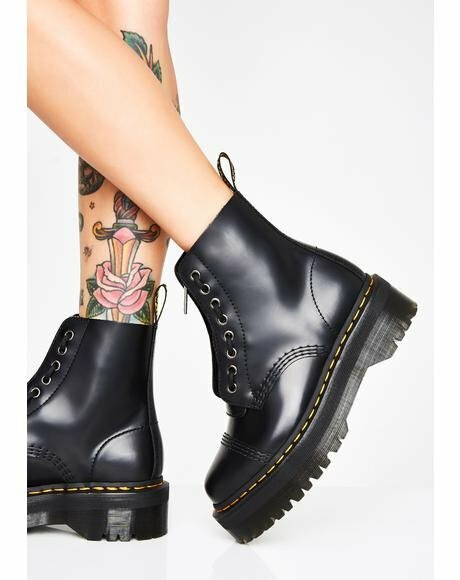 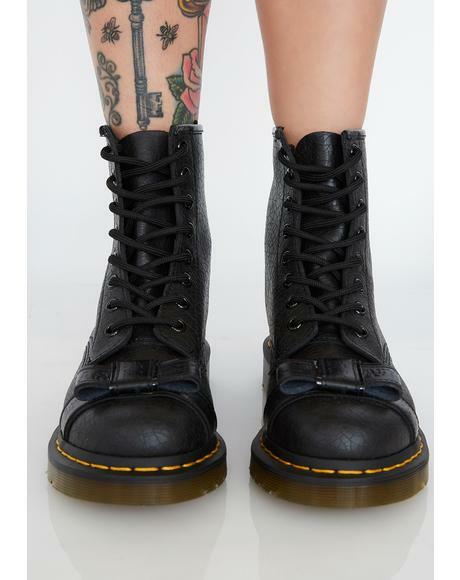 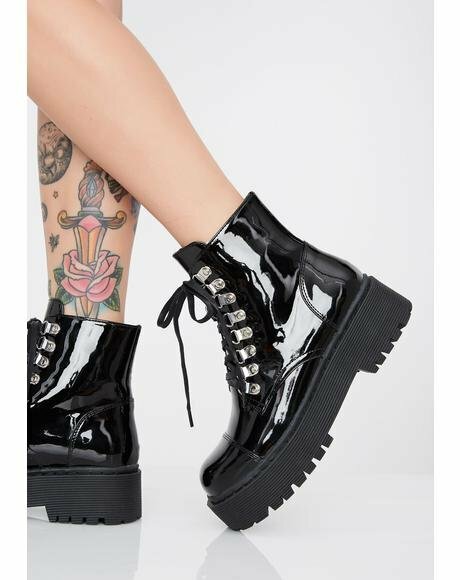 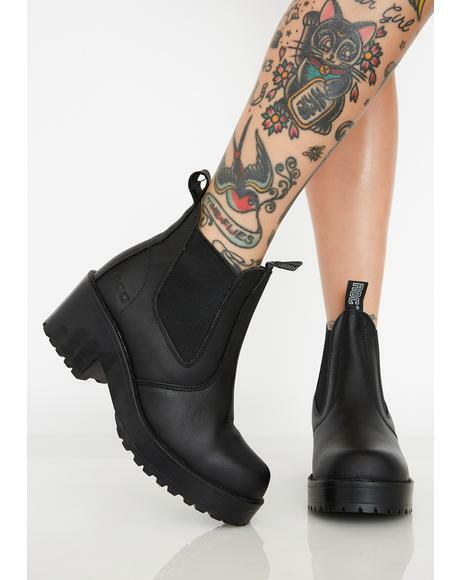 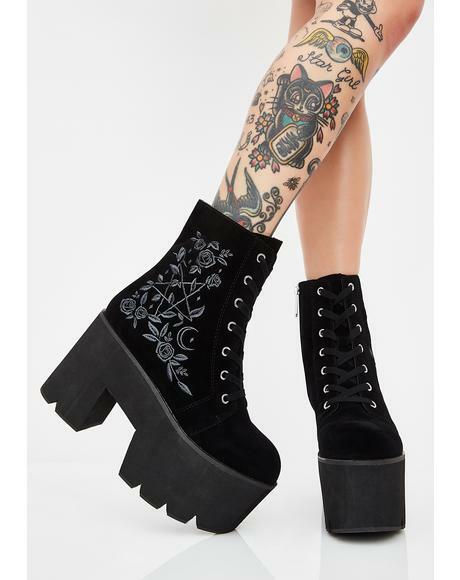 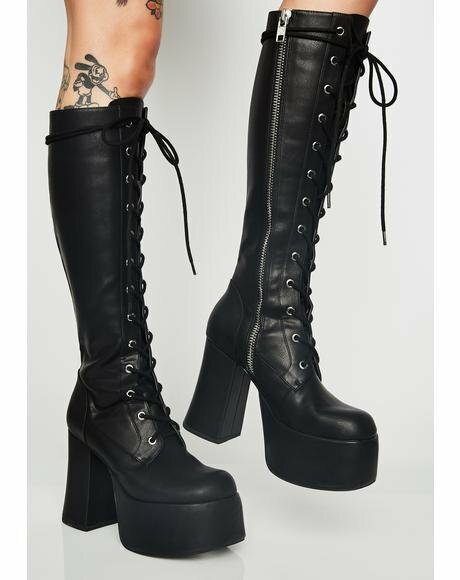 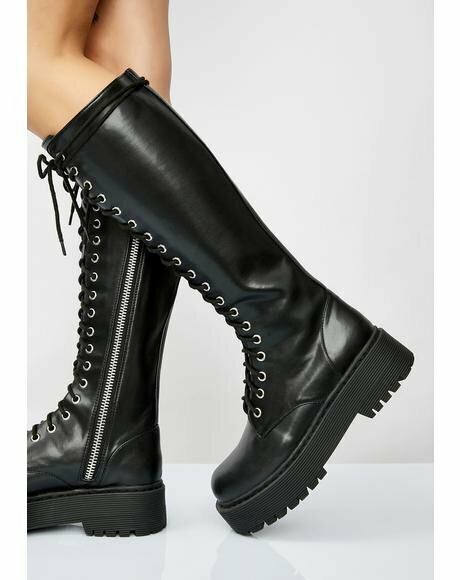 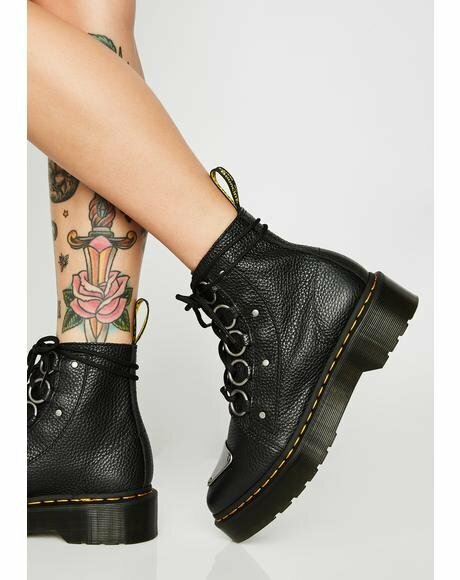 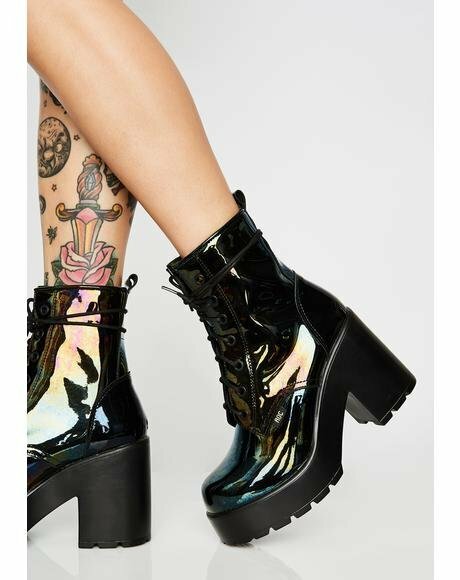 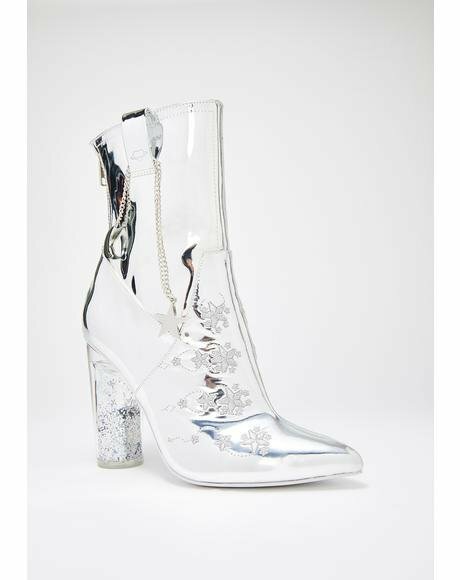 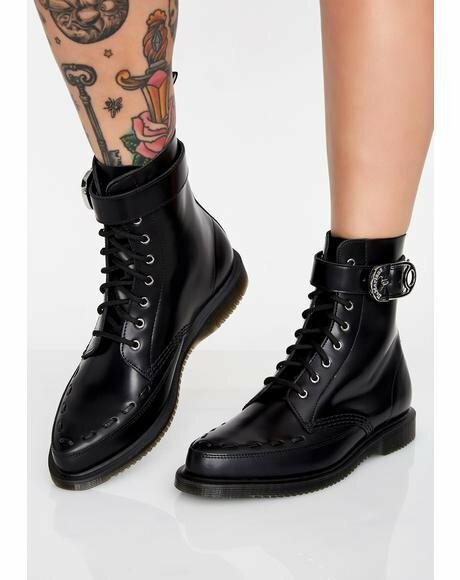 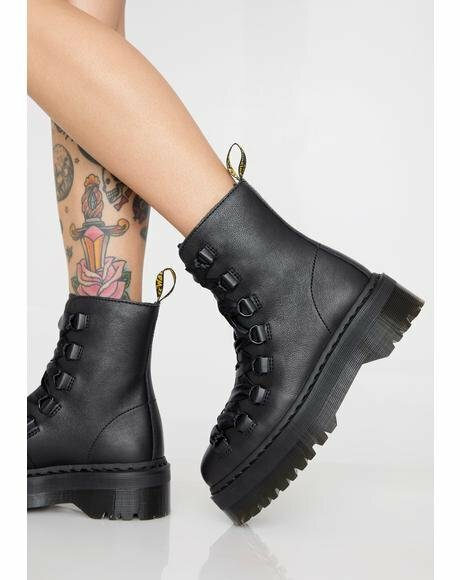 Current Mood Stay Dark Prophecy Platform Boots get ready to have yer palm read bb, we can see the future perfectly. 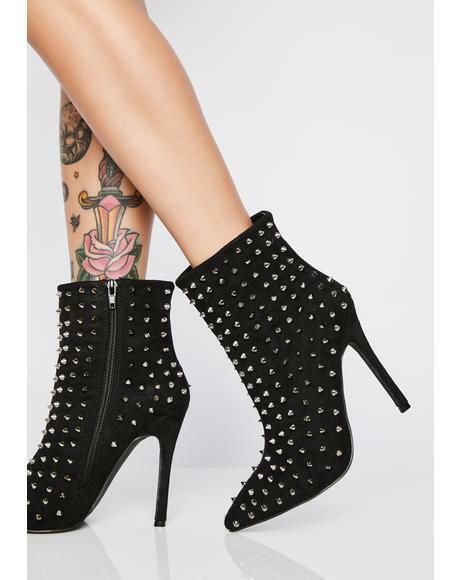 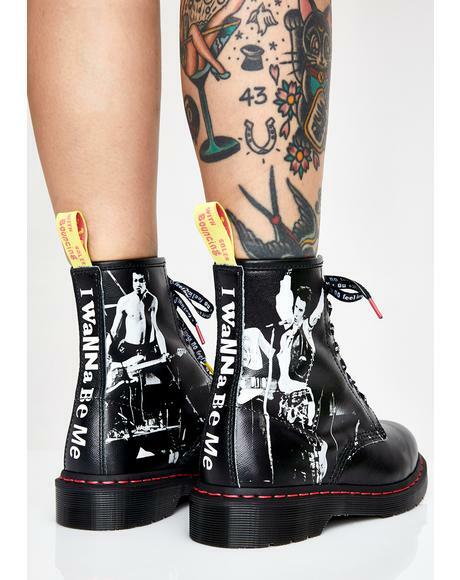 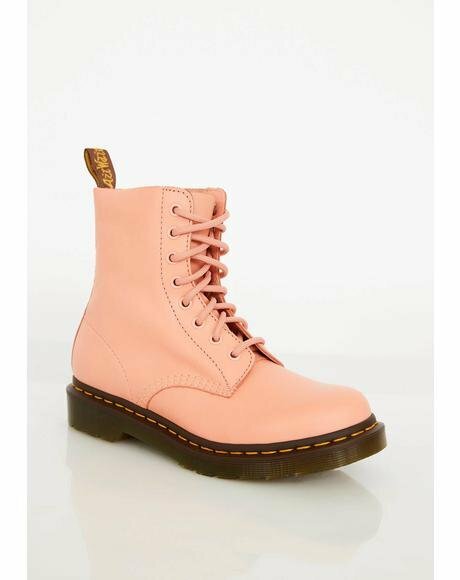 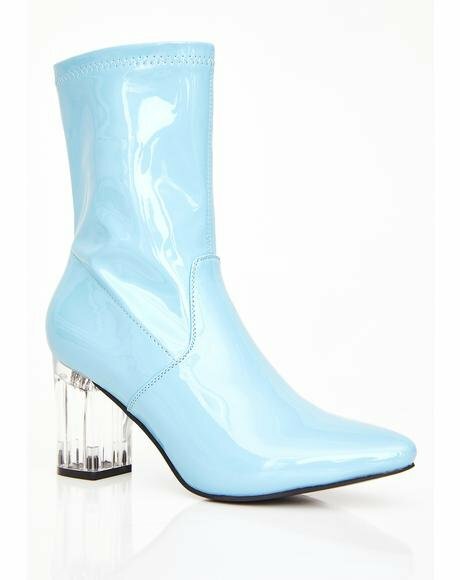 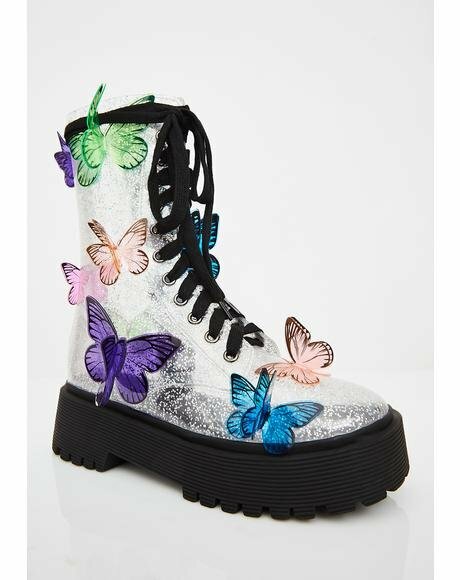 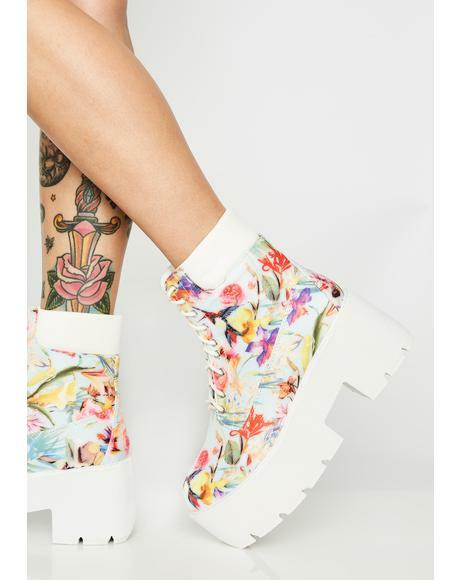 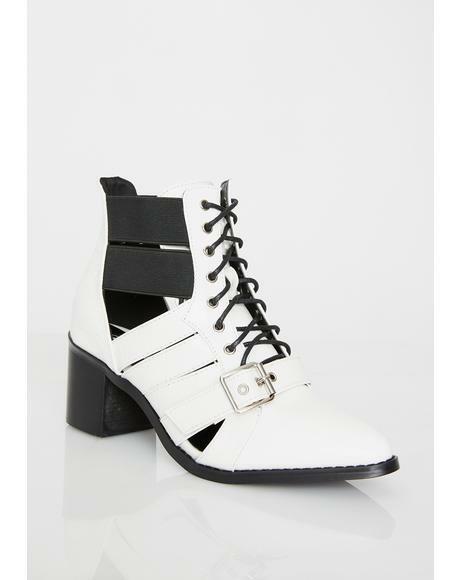 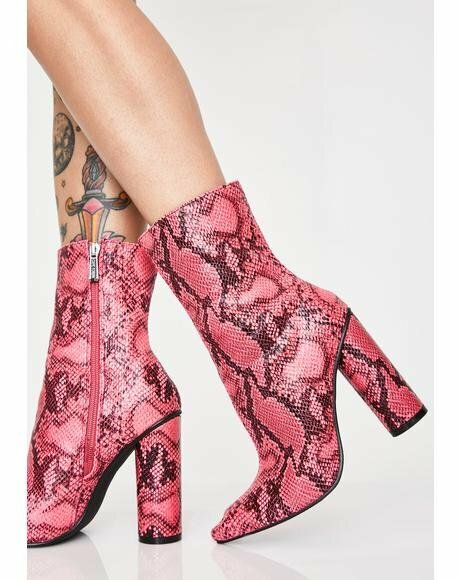 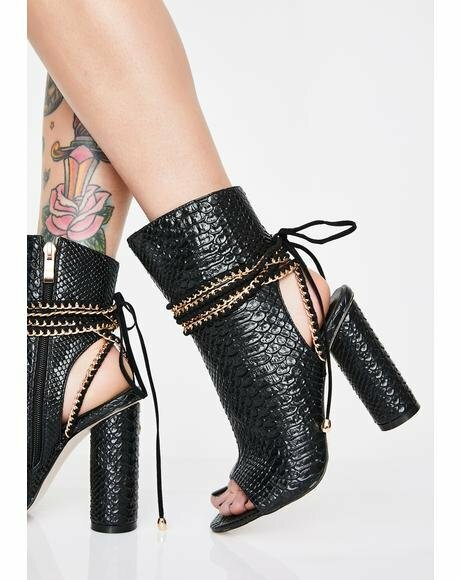 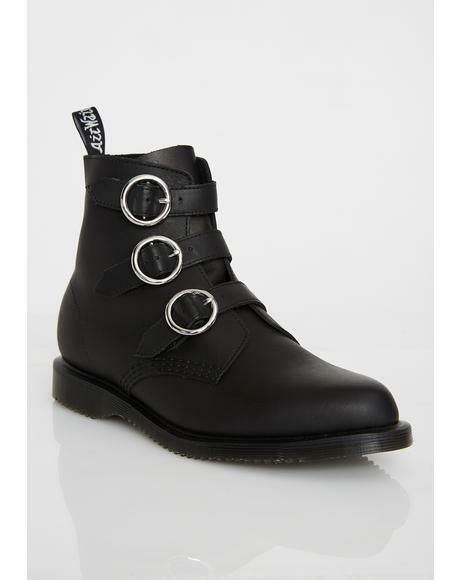 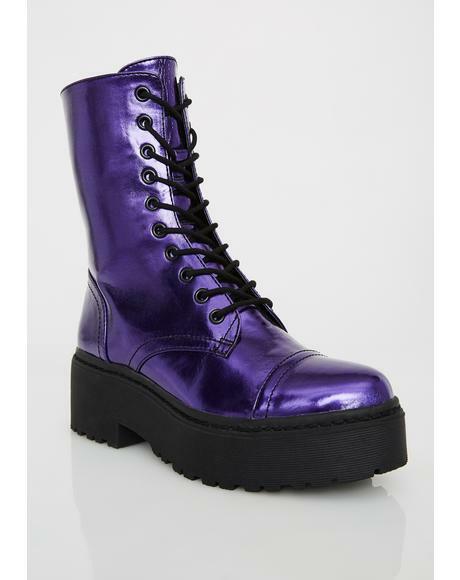 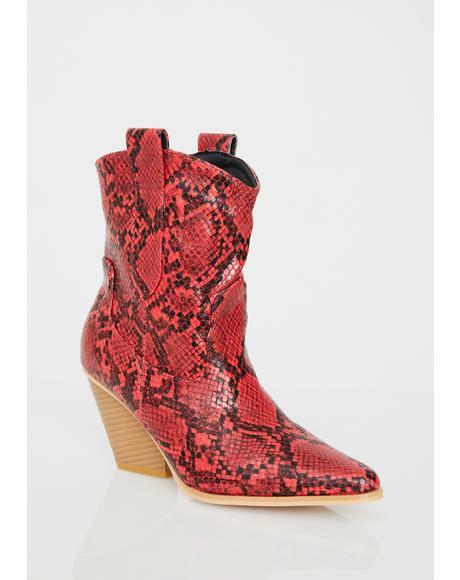 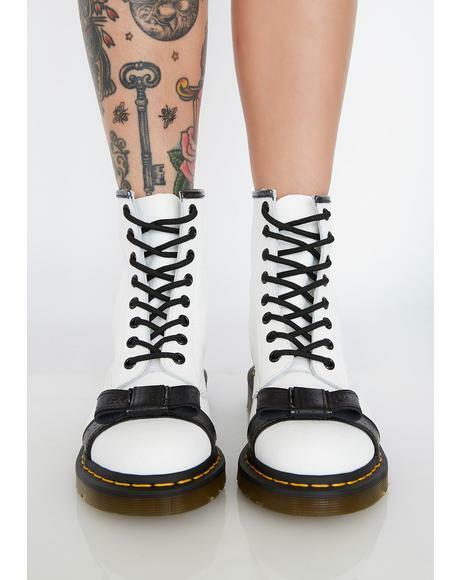 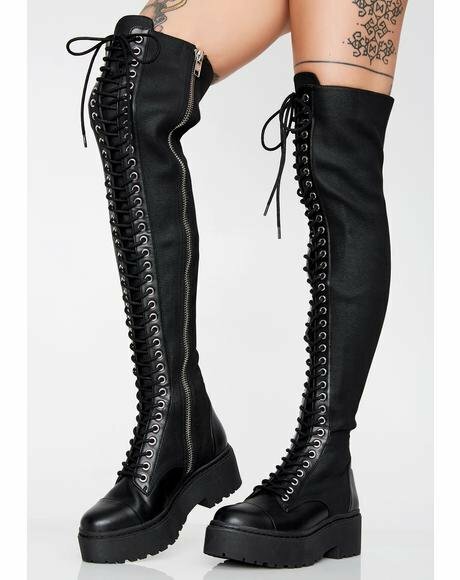 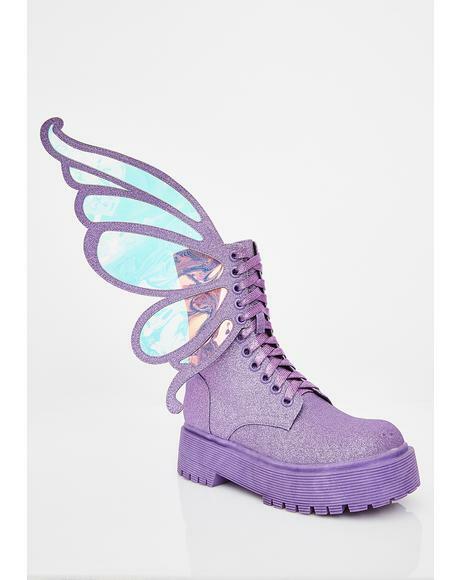 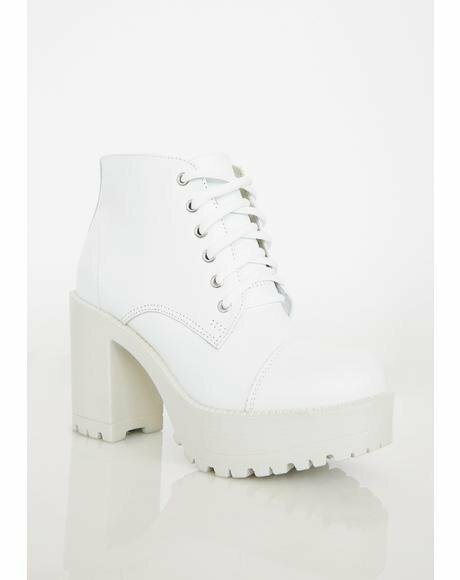 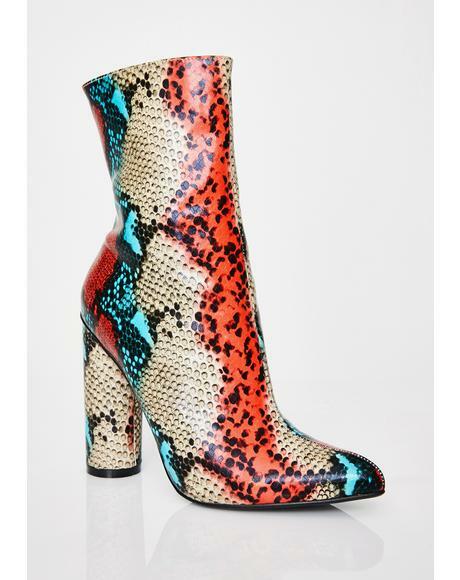 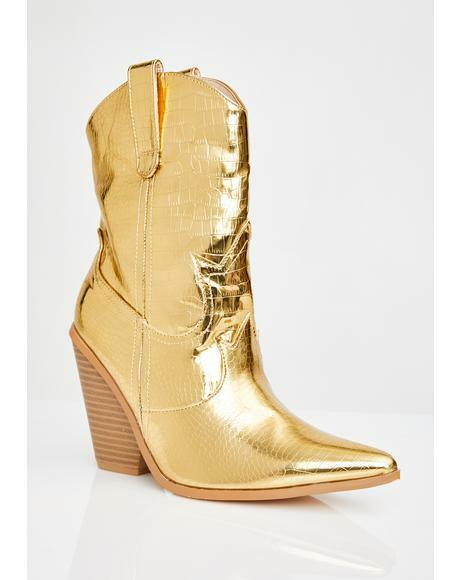 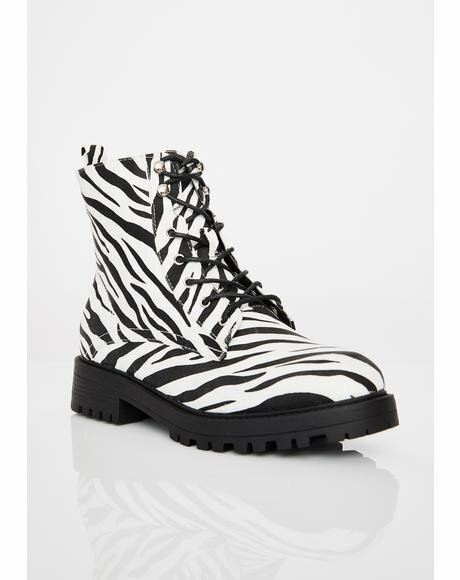 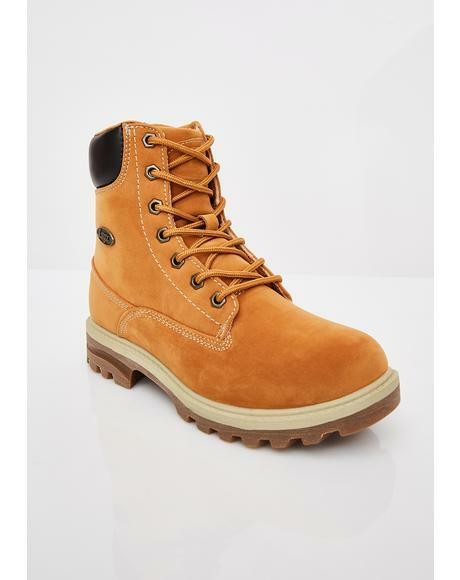 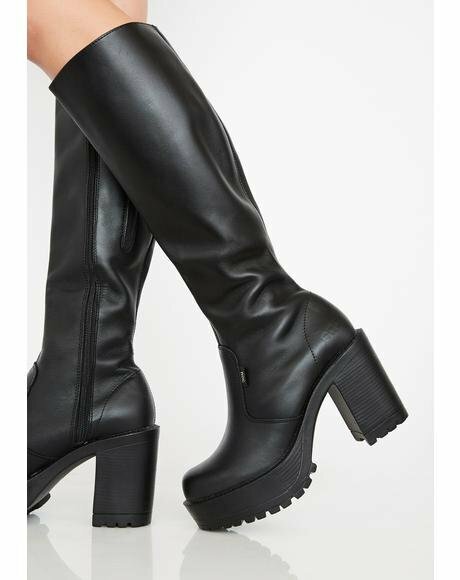 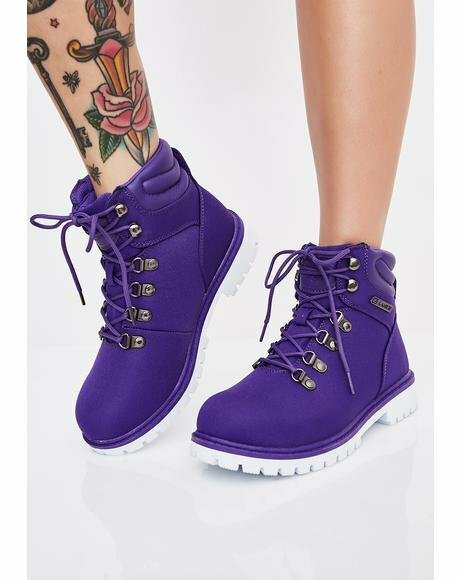 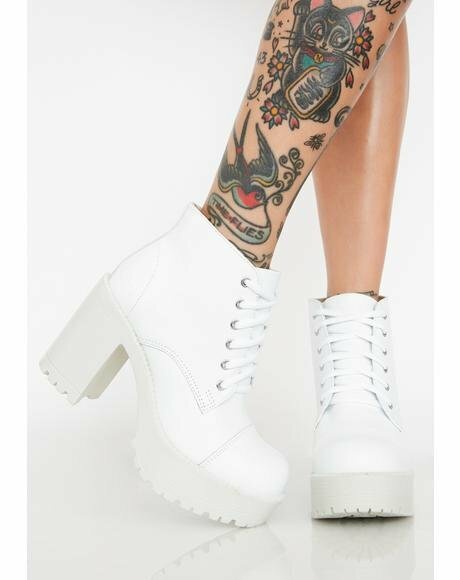 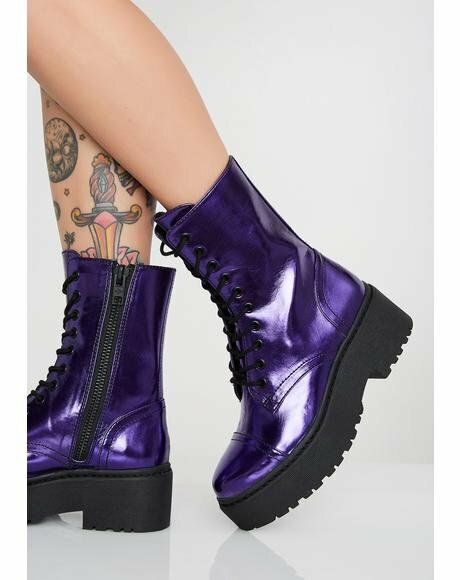 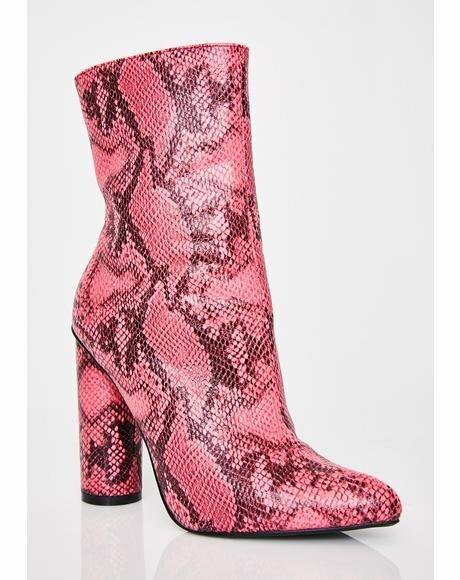 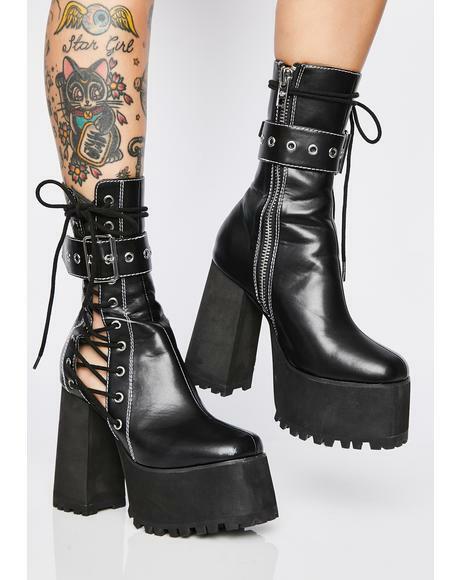 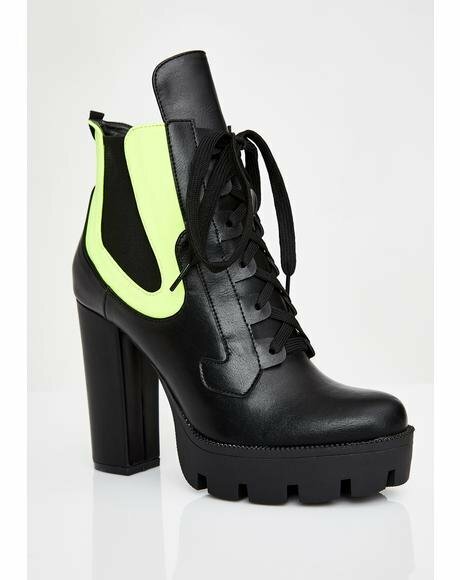 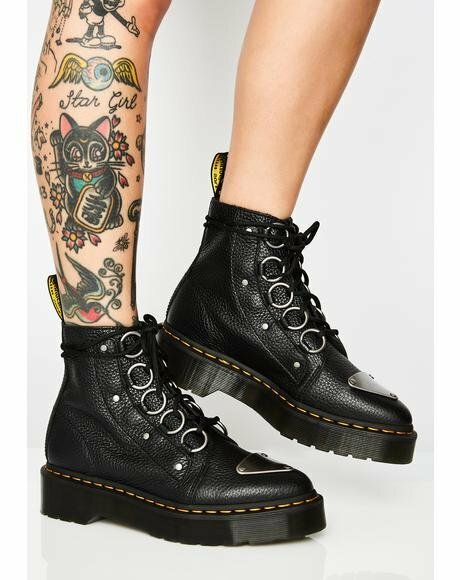 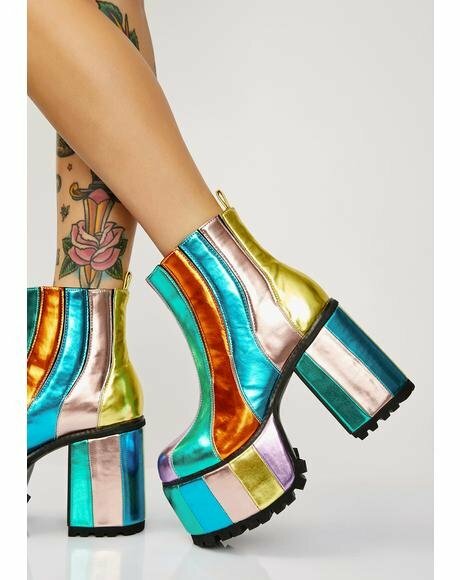 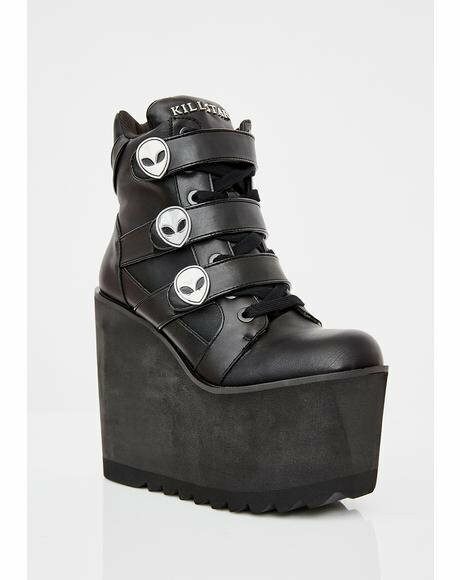 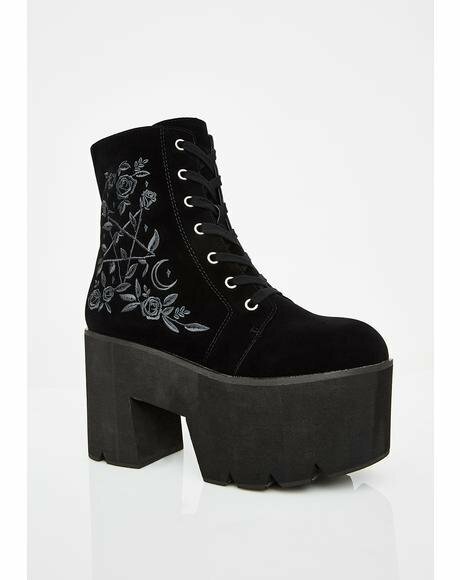 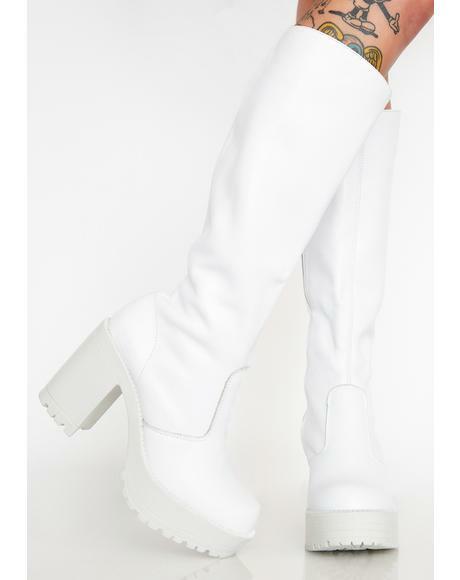 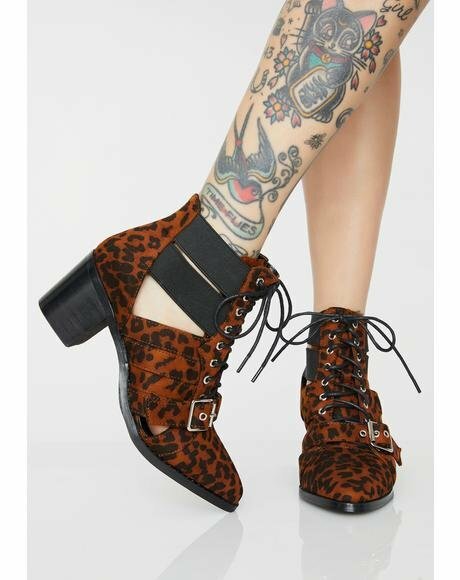 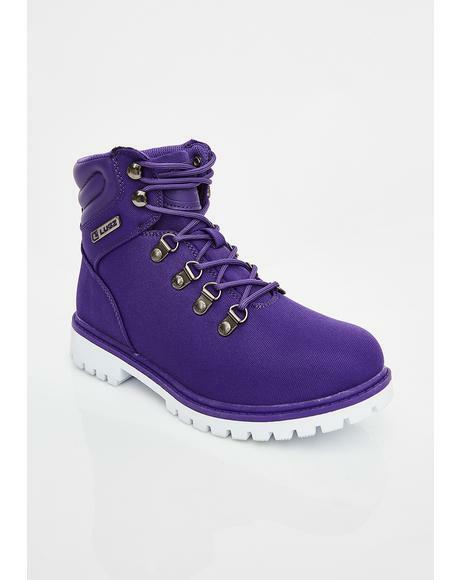 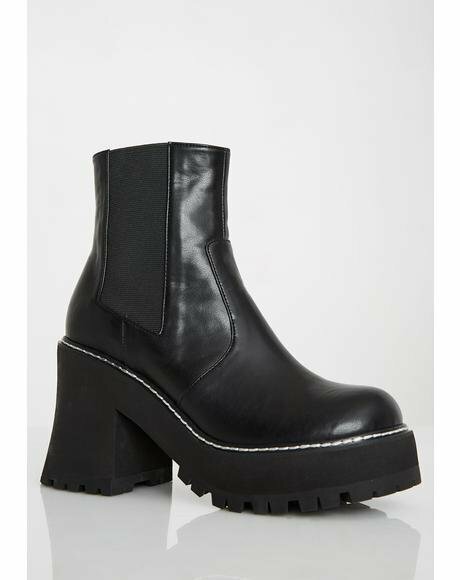 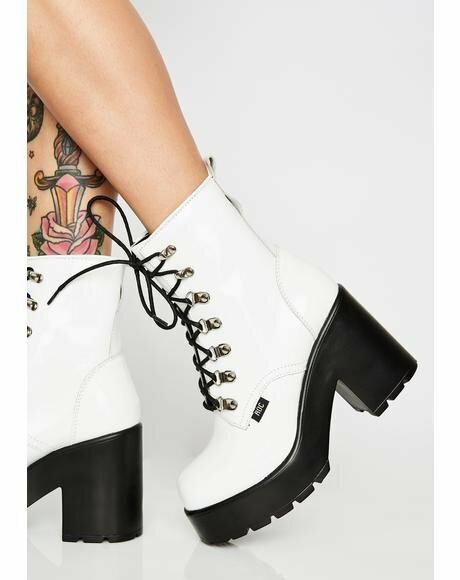 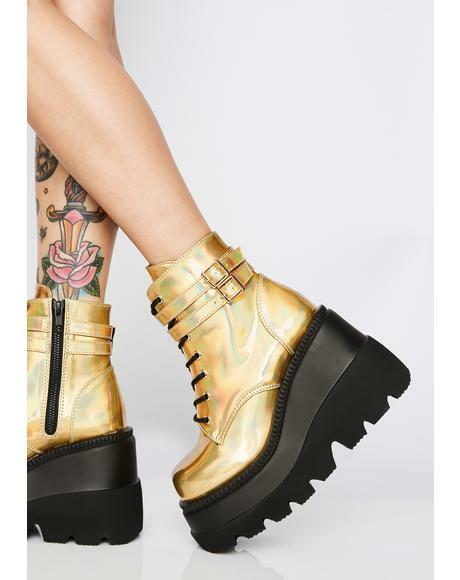 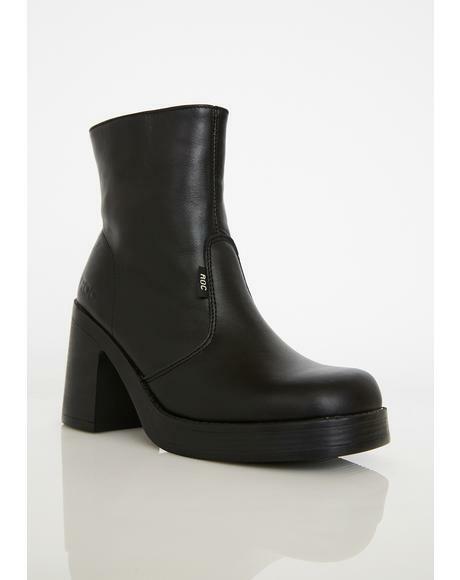 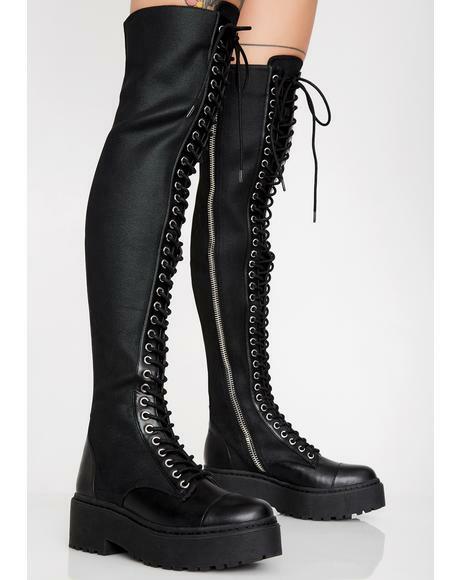 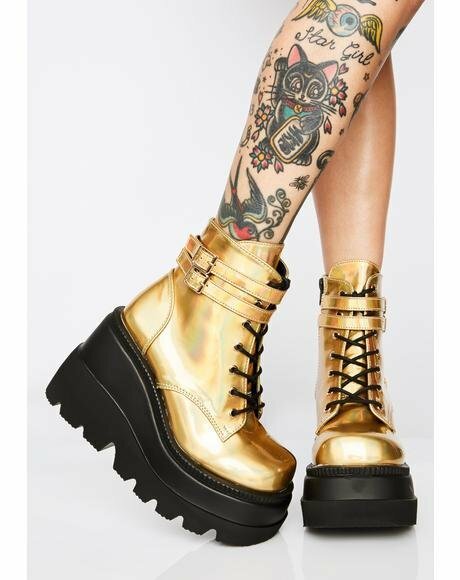 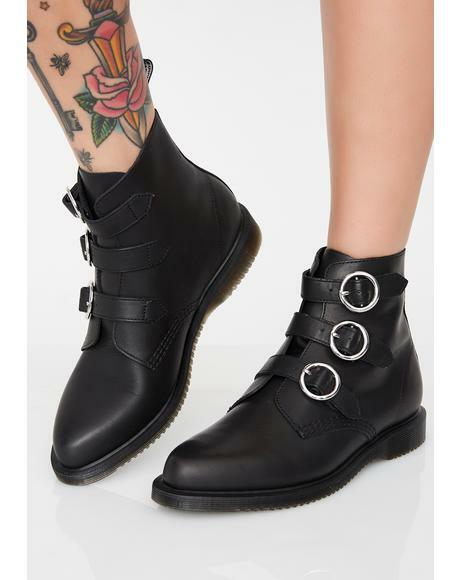 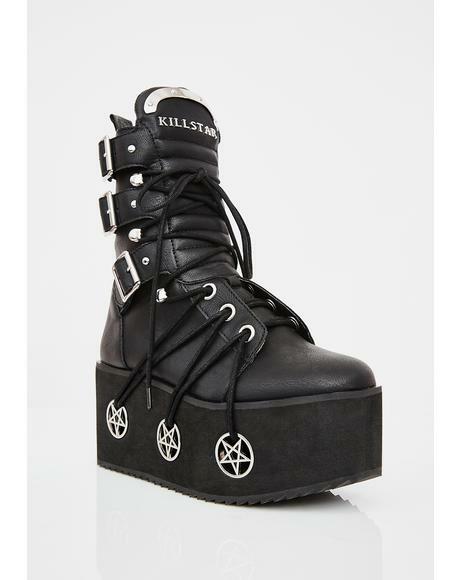 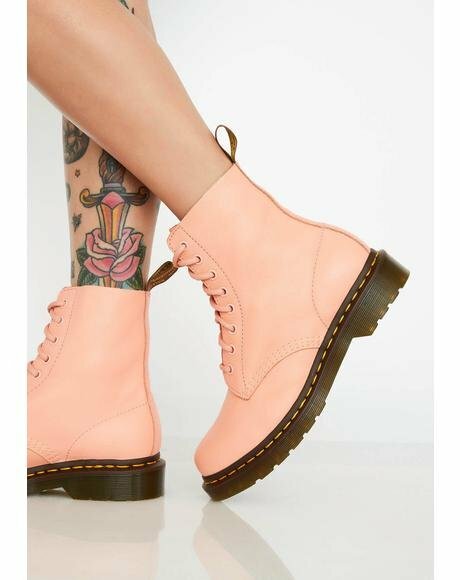 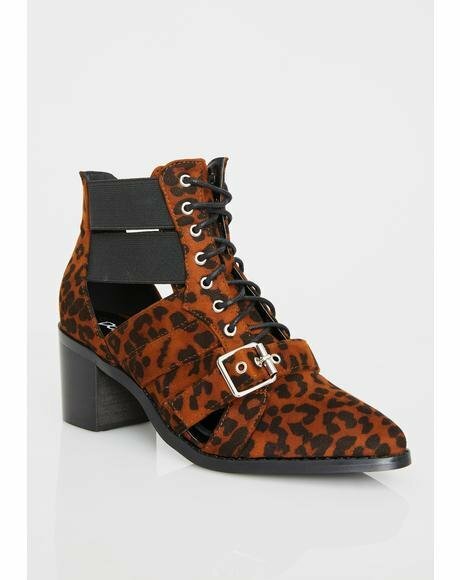 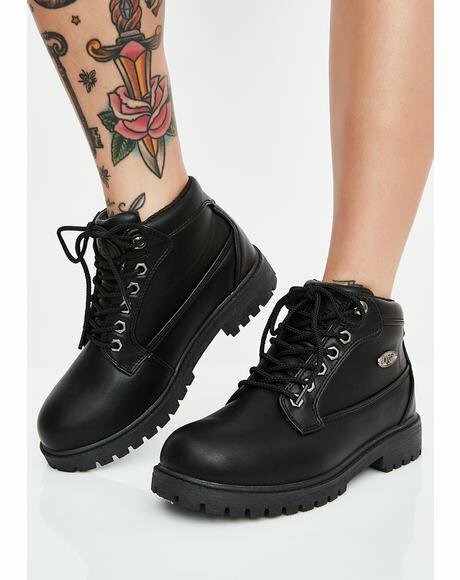 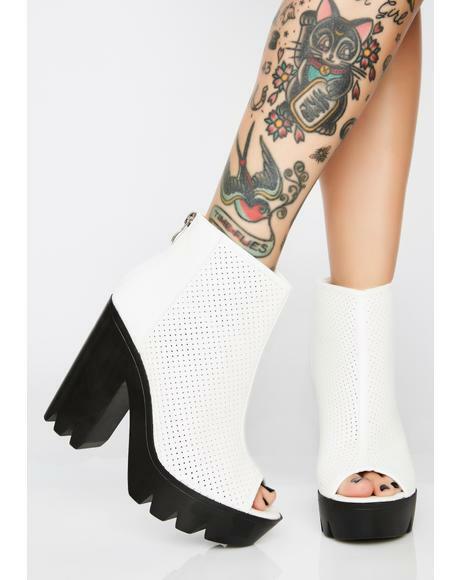 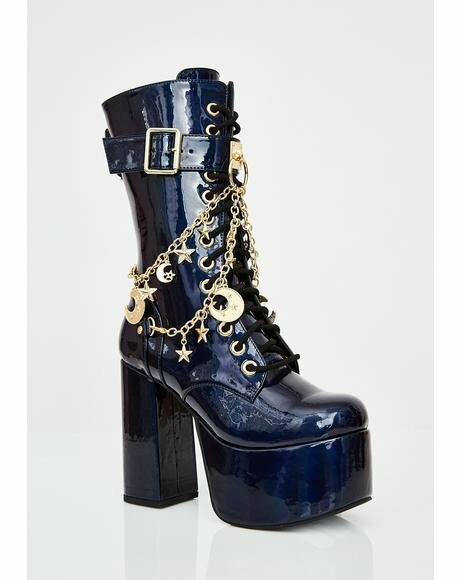 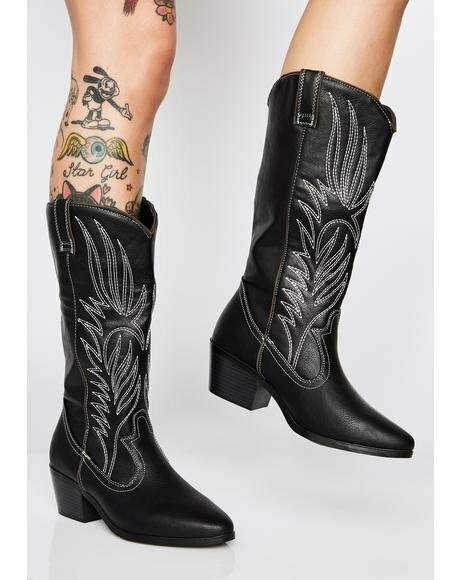 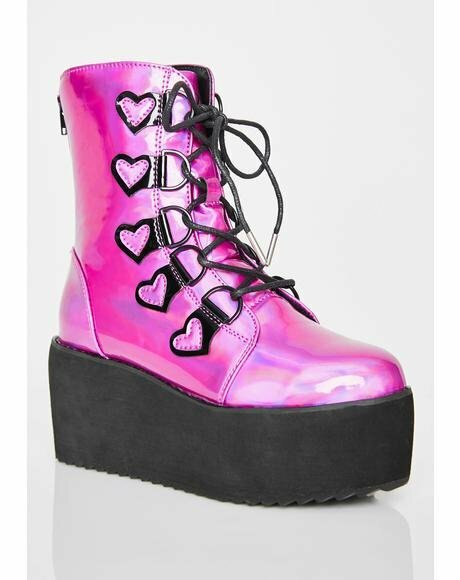 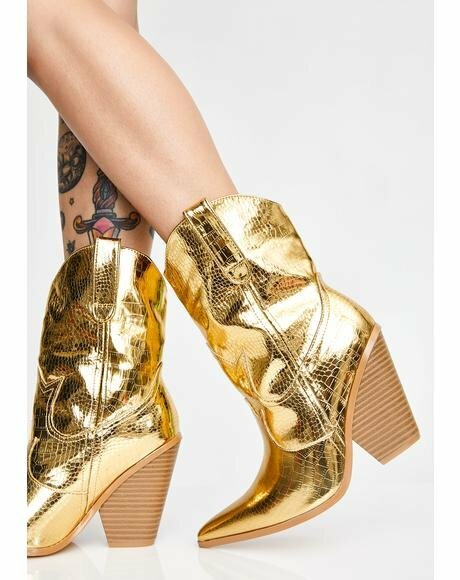 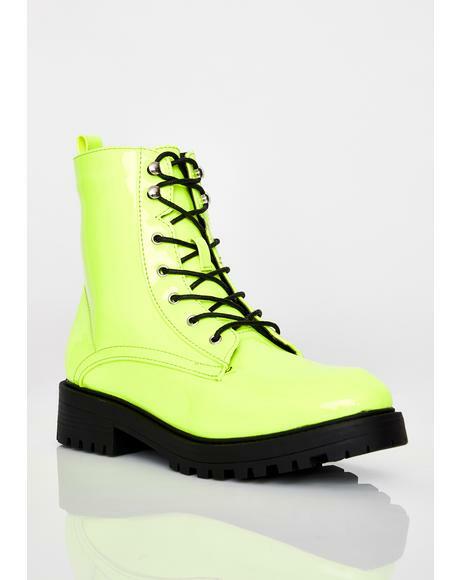 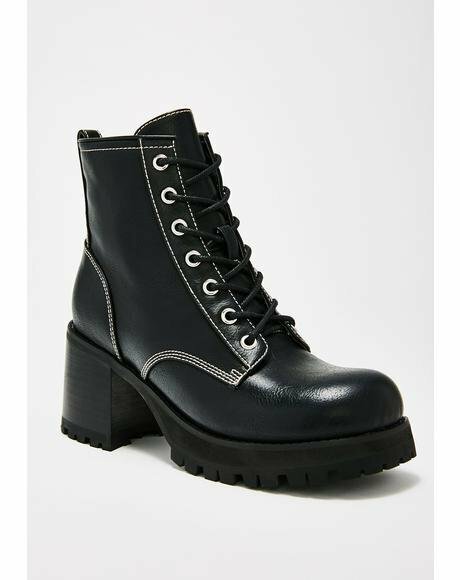 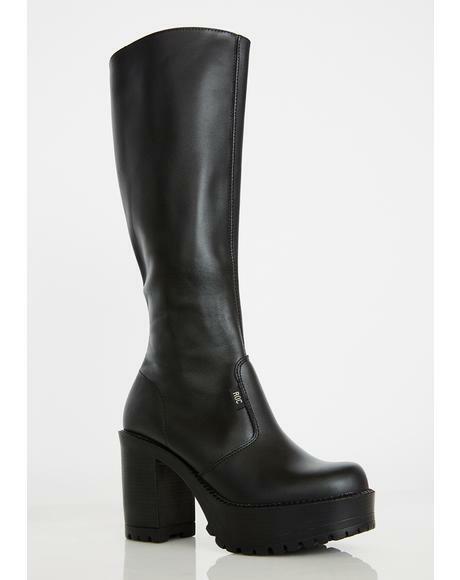 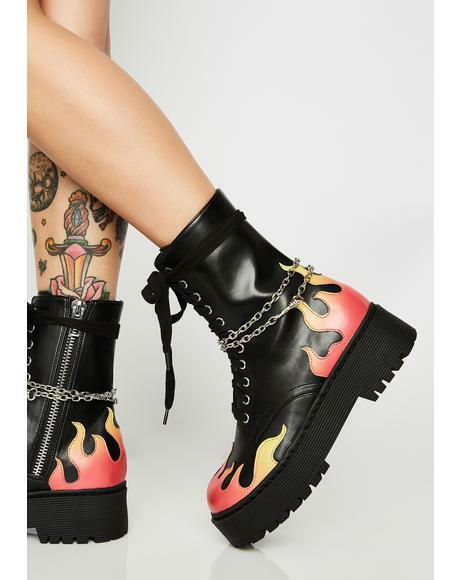 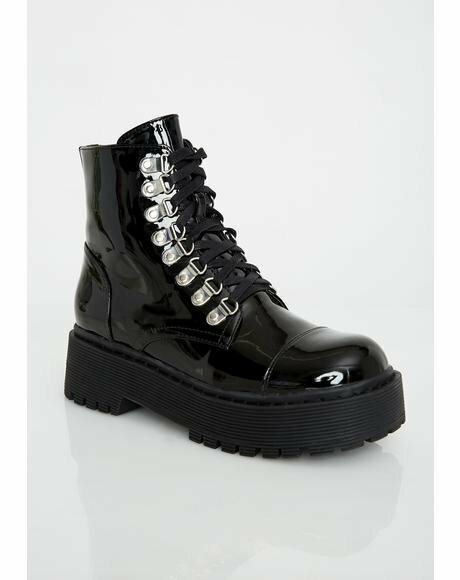 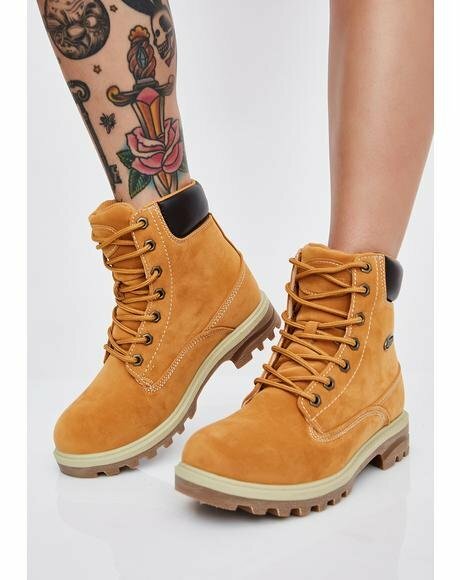 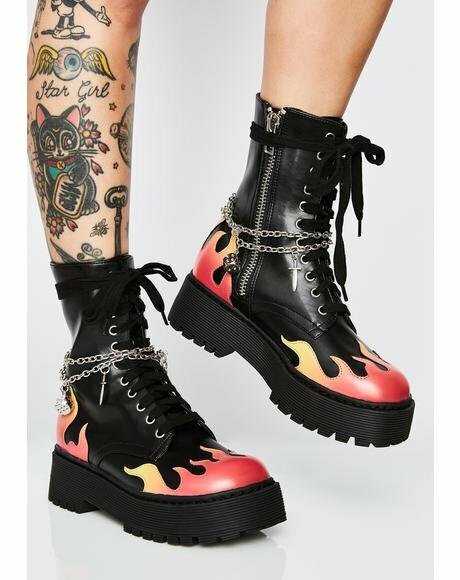 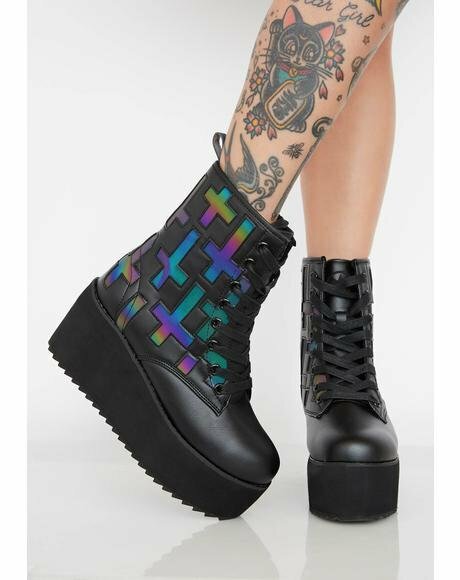 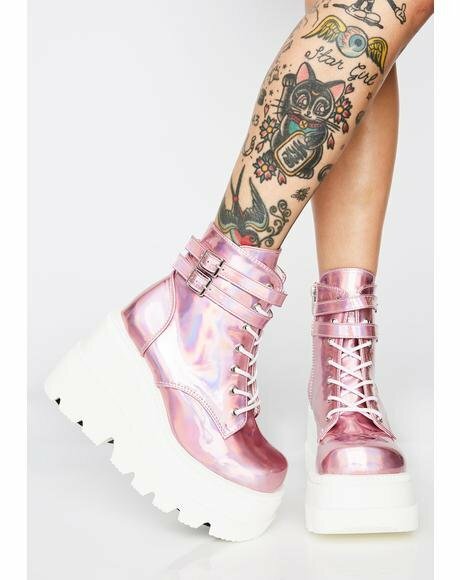 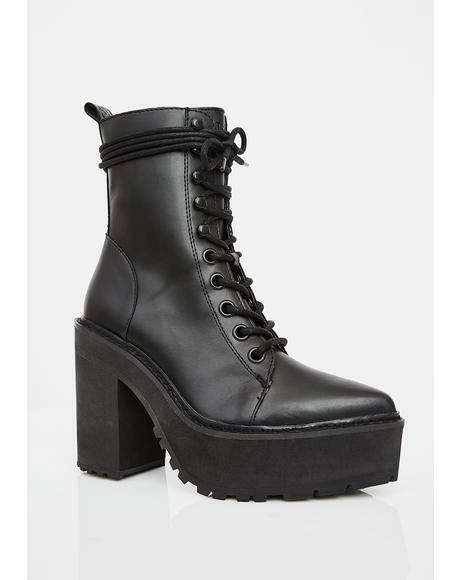 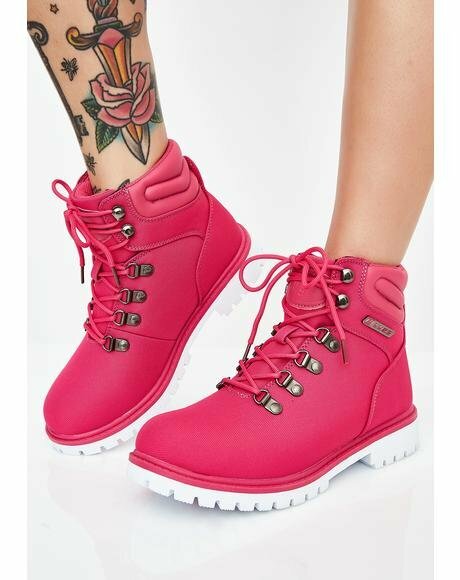 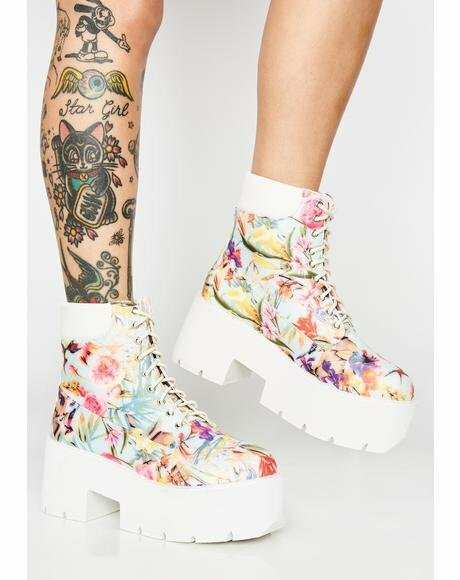 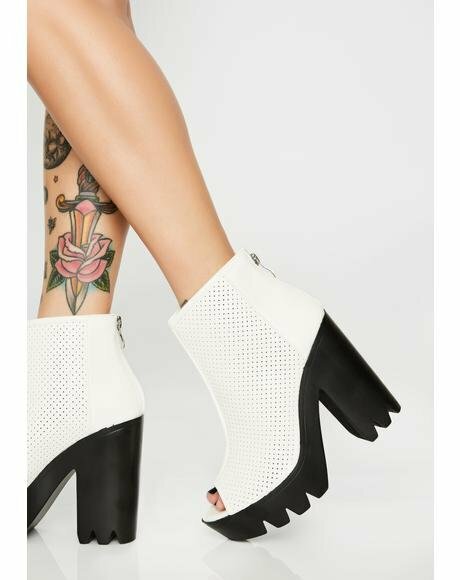 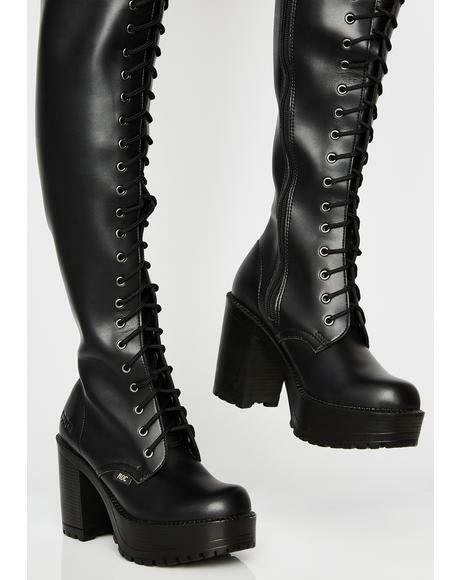 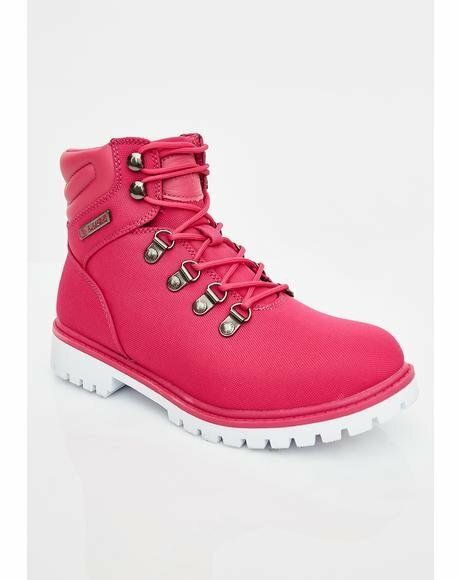 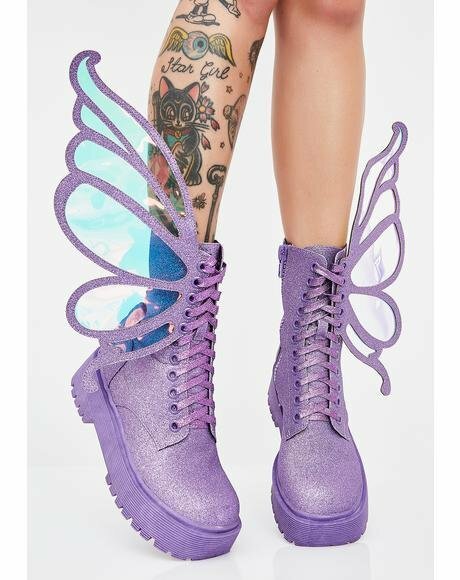 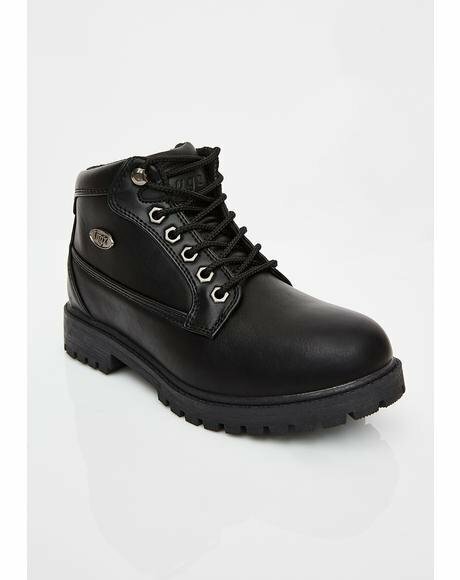 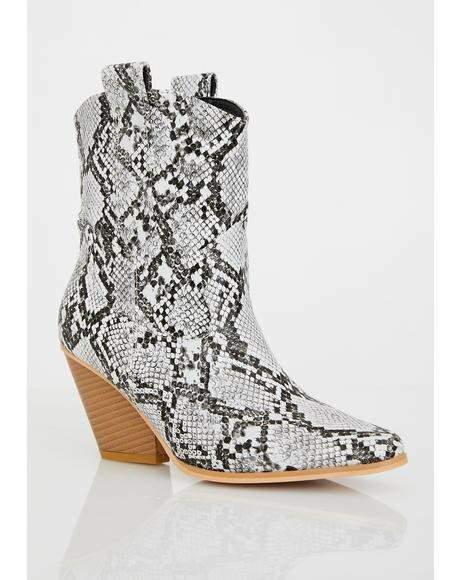 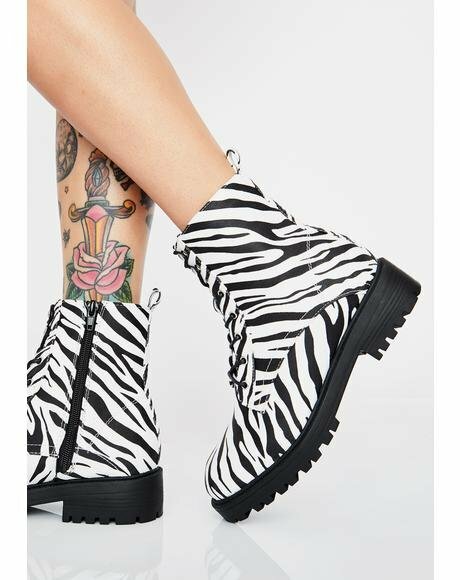 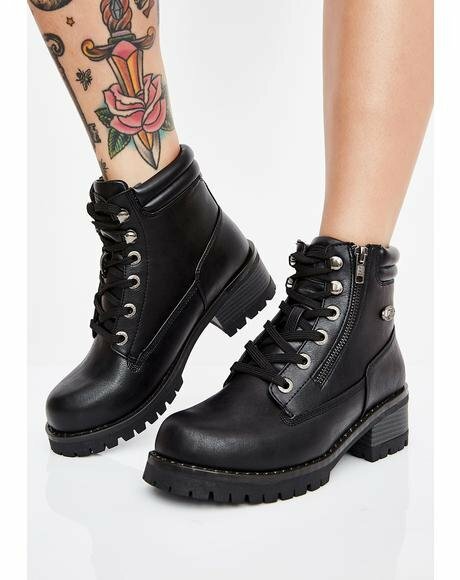 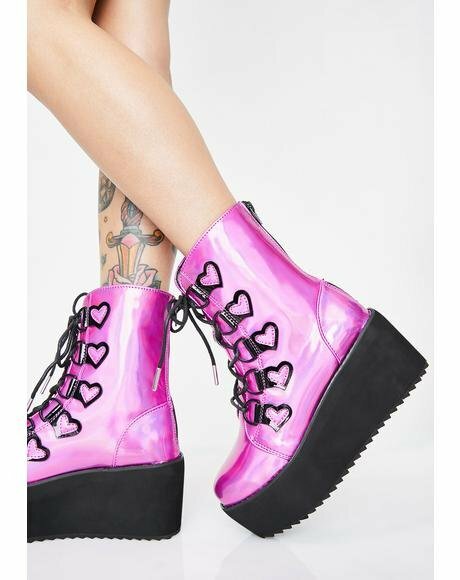 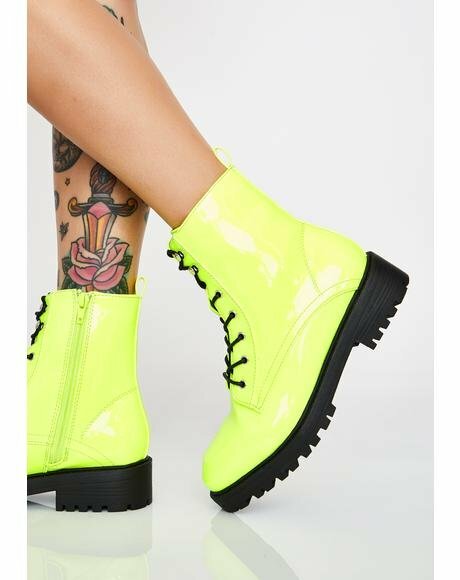 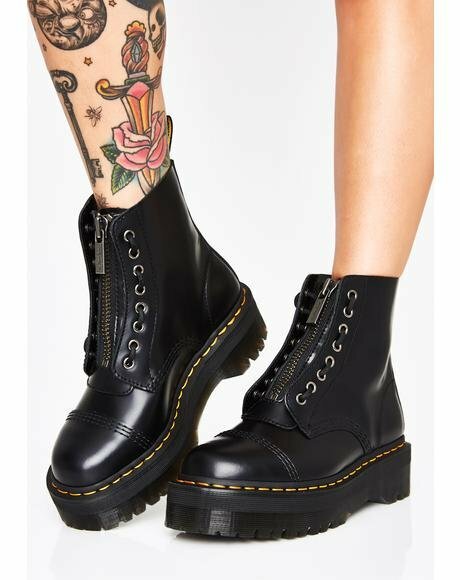 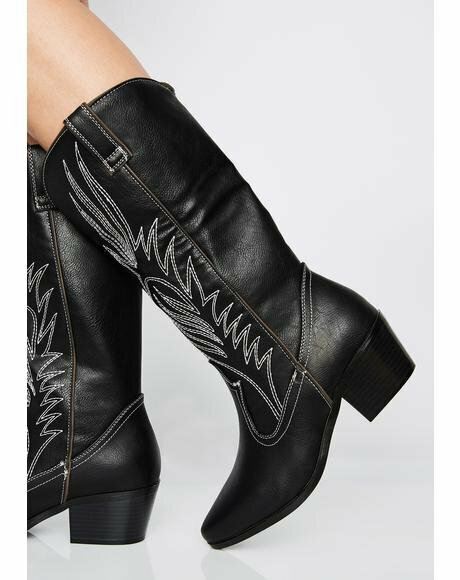 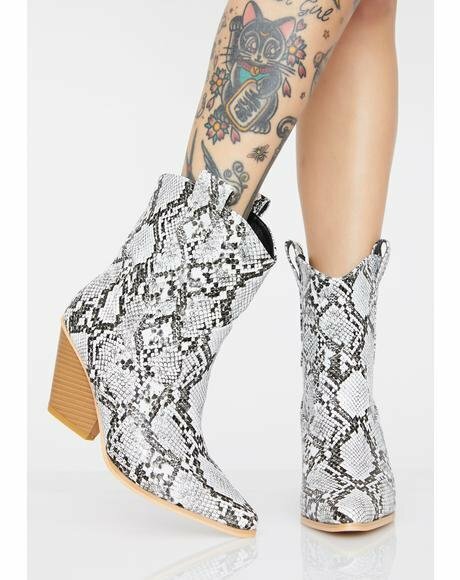 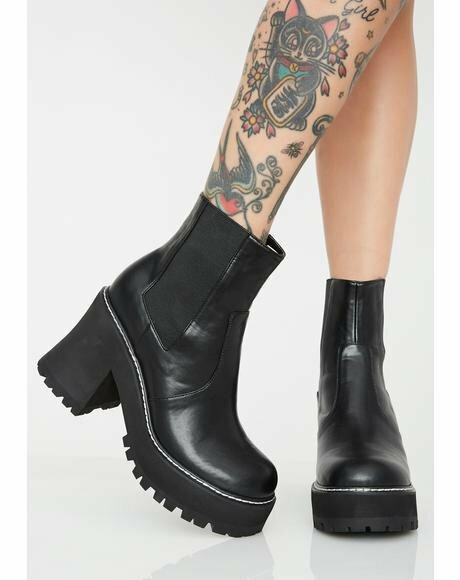 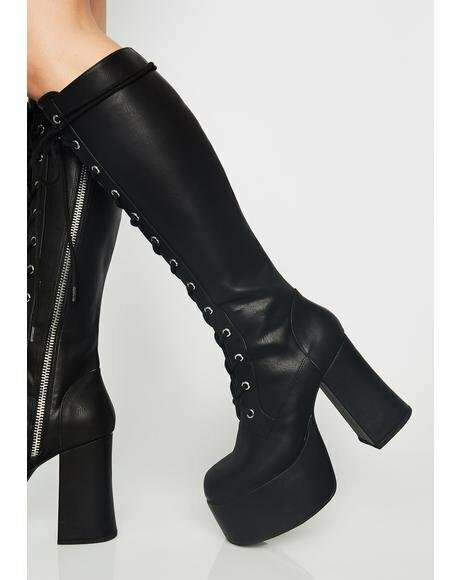 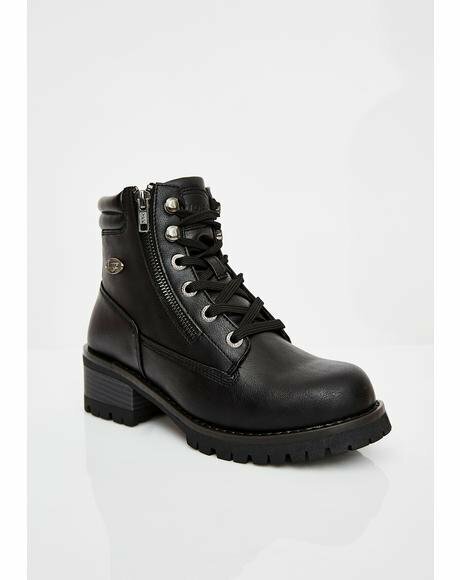 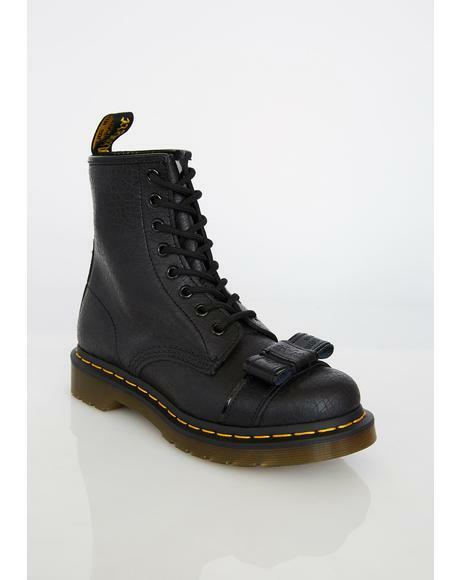 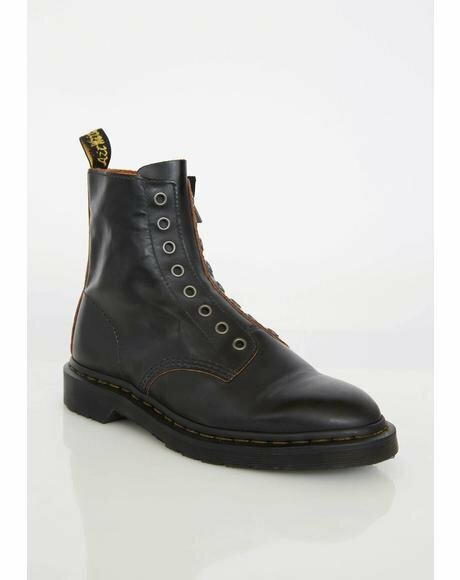 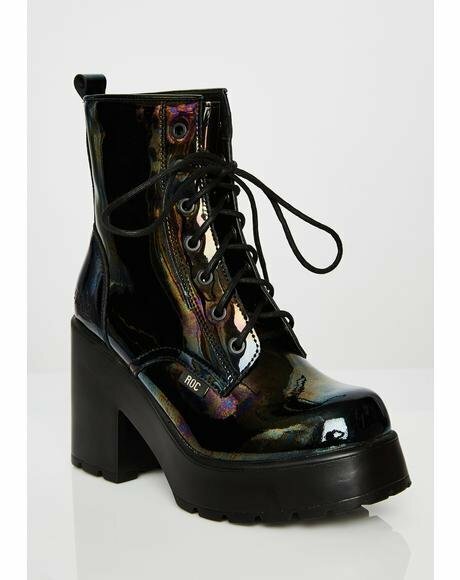 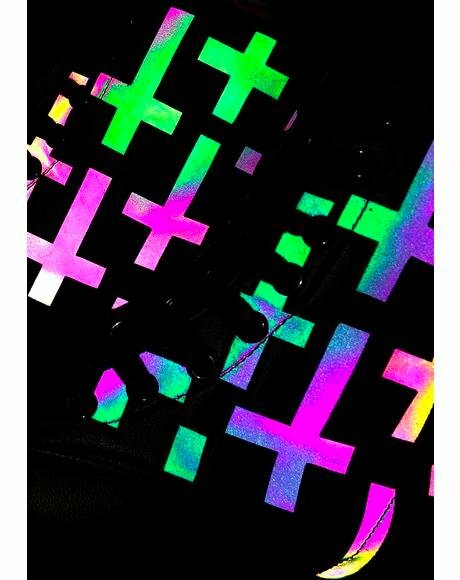 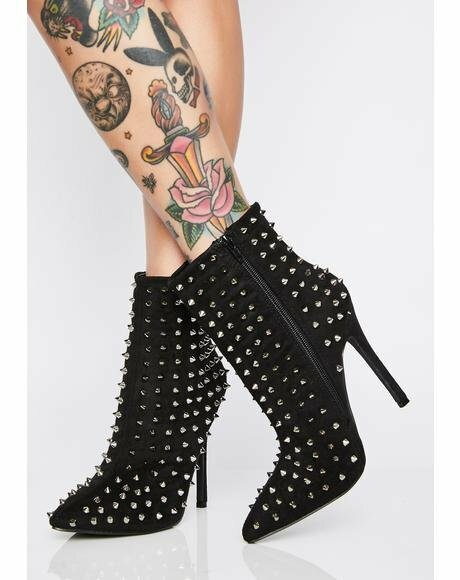 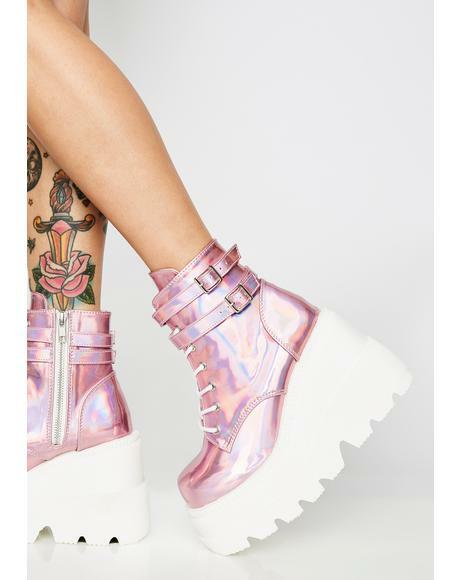 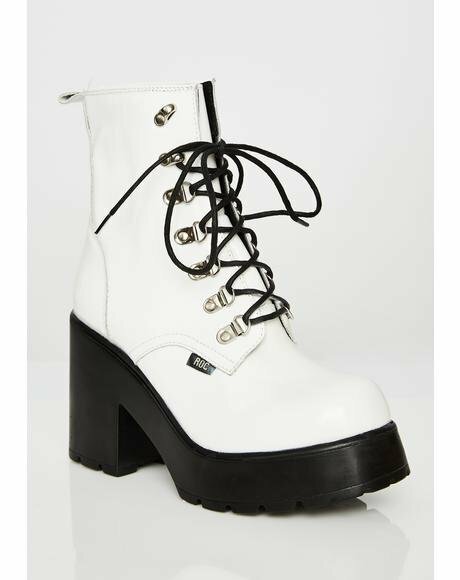 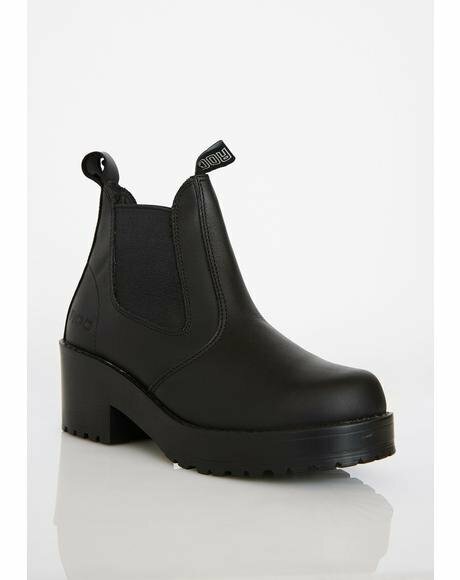 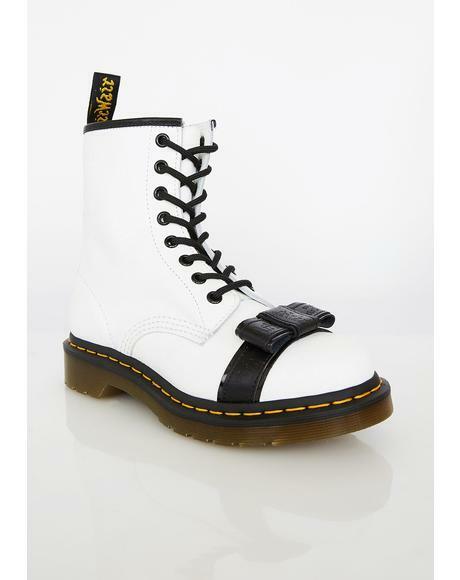 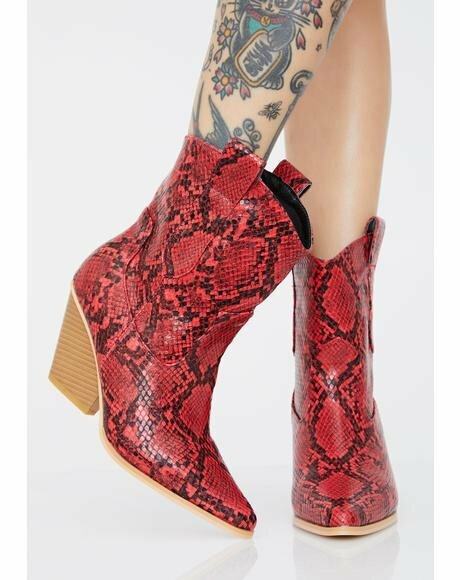 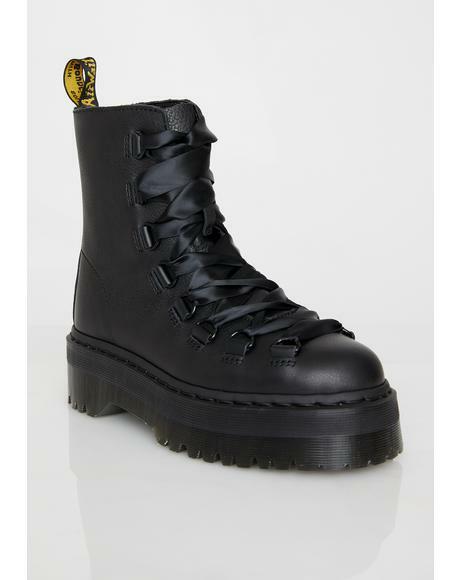 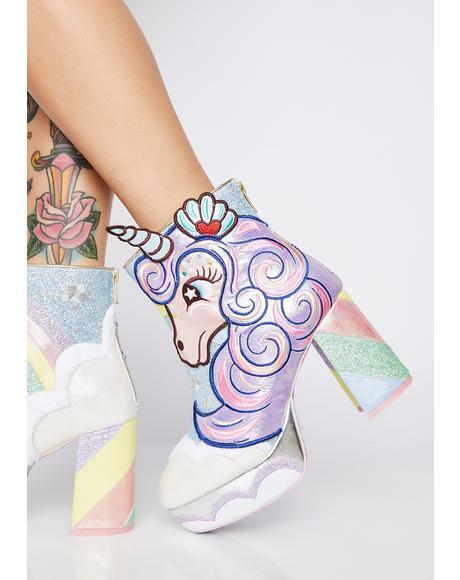 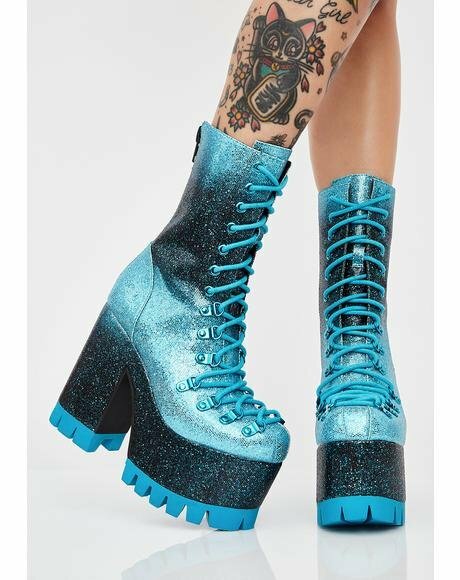 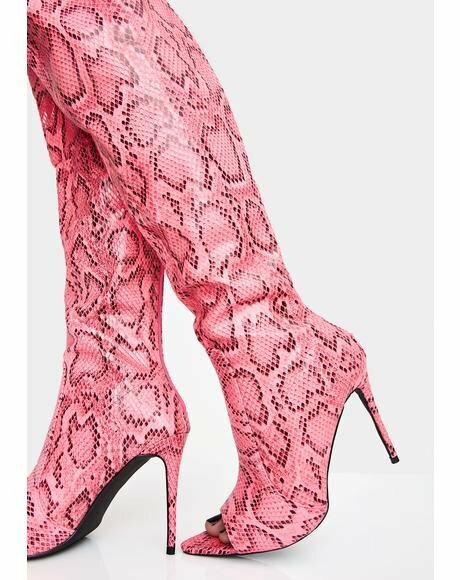 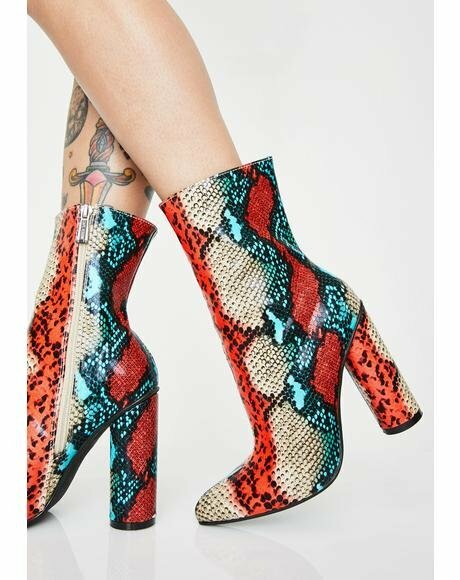 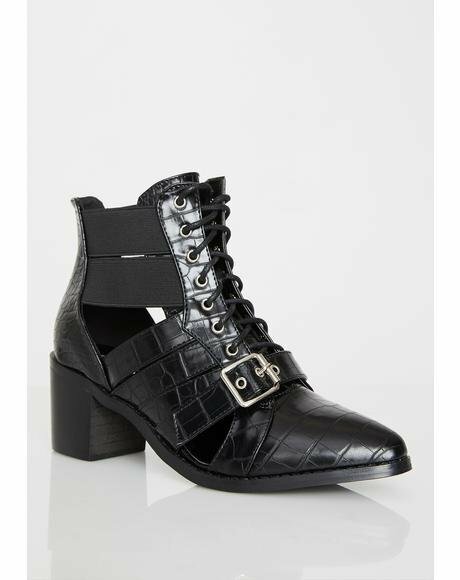 These amazing platform boots will have ya fulfilling every prophecy. 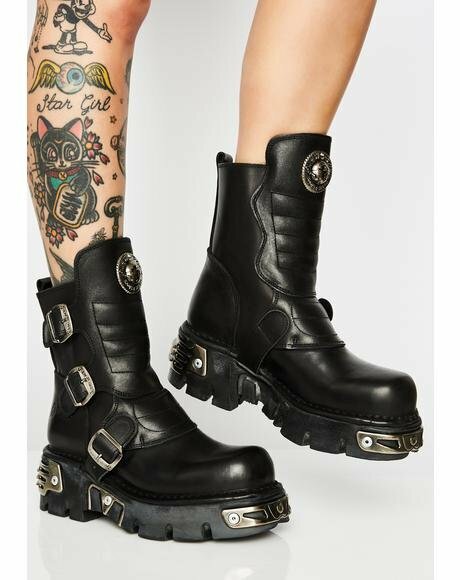 Constructed from a super smooth N’ soft leather with badazz exxxposed front zippers that can be left unzipped for a perfectly undone look. 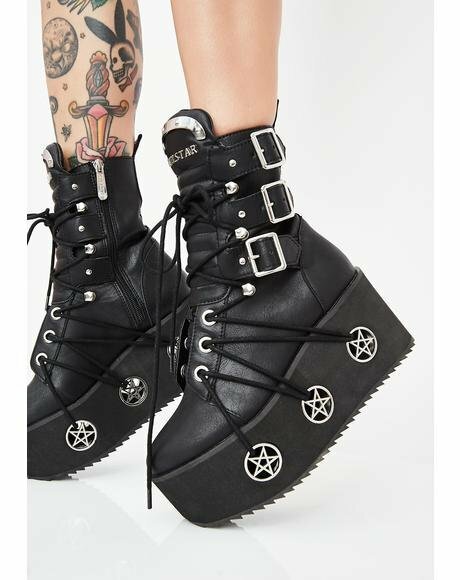 Featurin’ structured tongues that read,”Stay Dark Made In Hell” cuz we know ya love to represent yer hometown of the underworld. 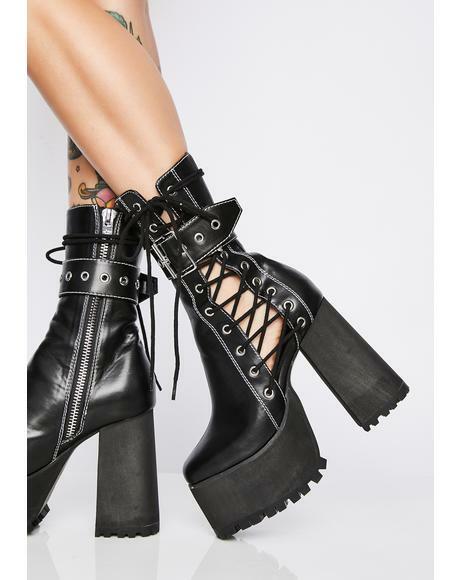 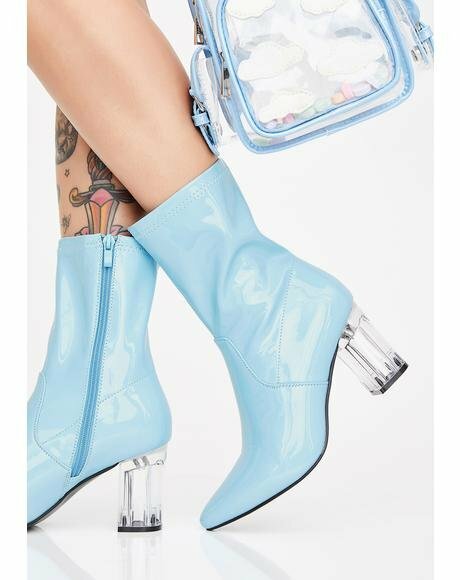 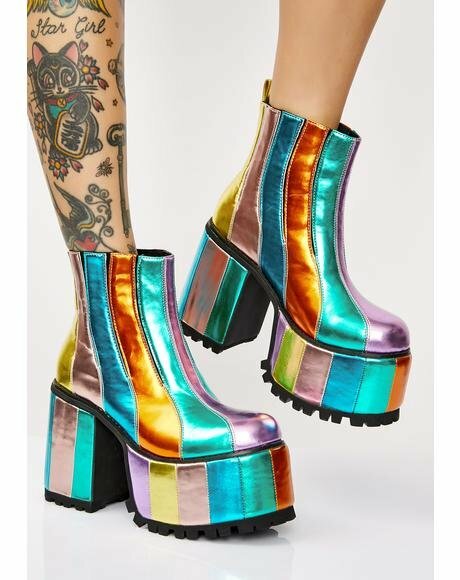 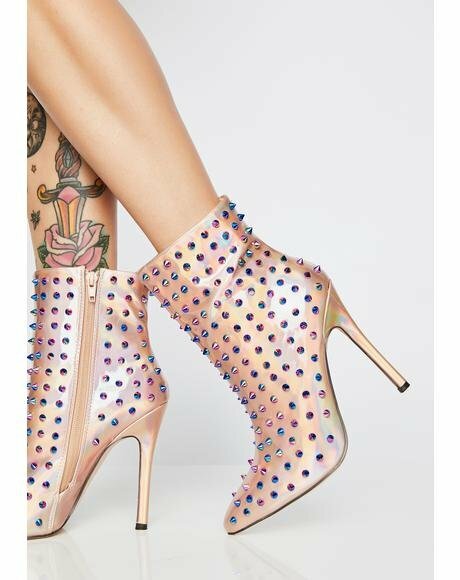 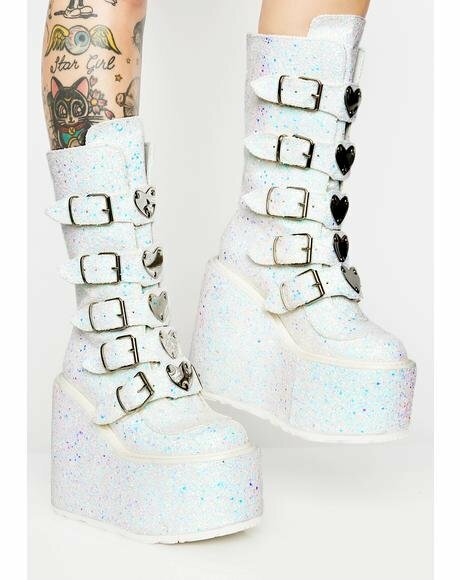 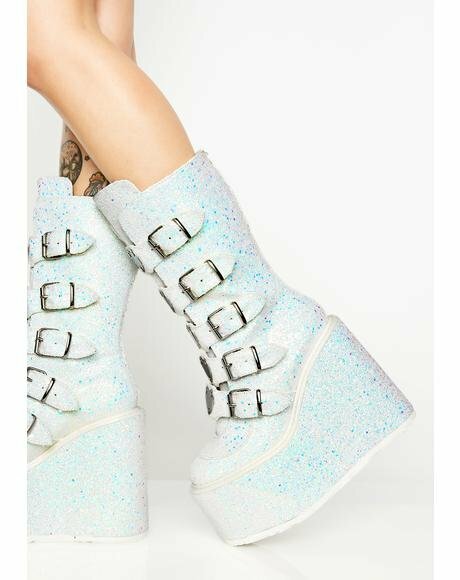 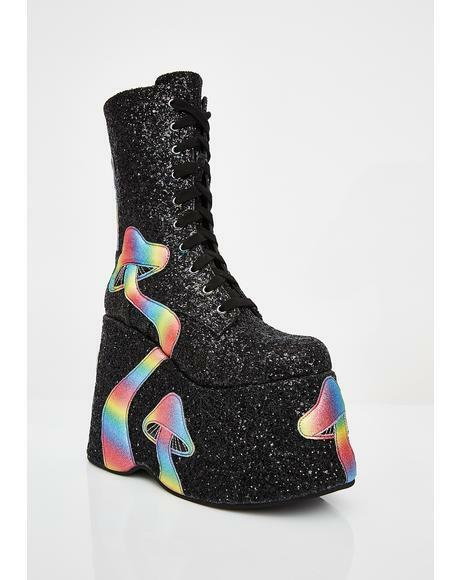 With dope 5.5” inch heels, 2” inch platforms and rounded toes we predict these sinnister bbz will never leave yer feet.